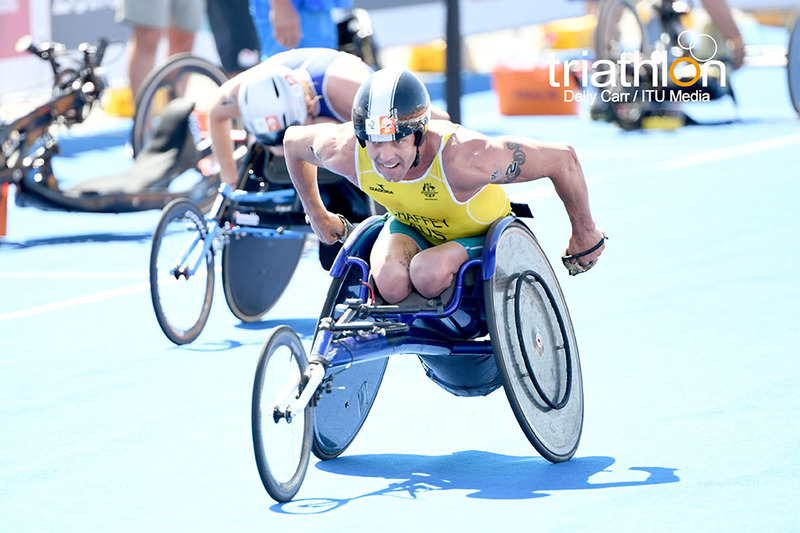 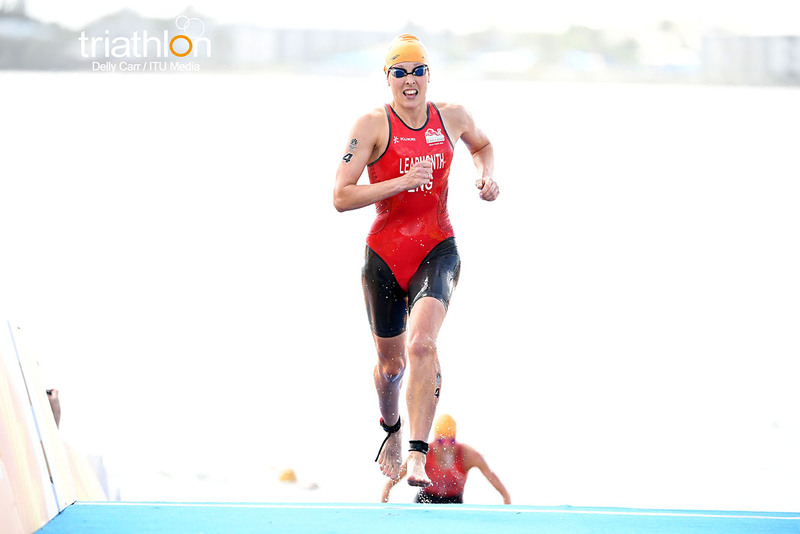 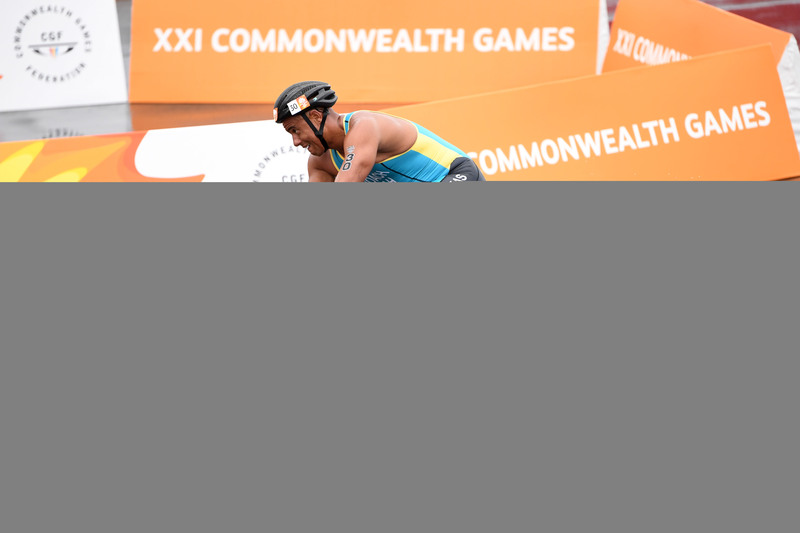 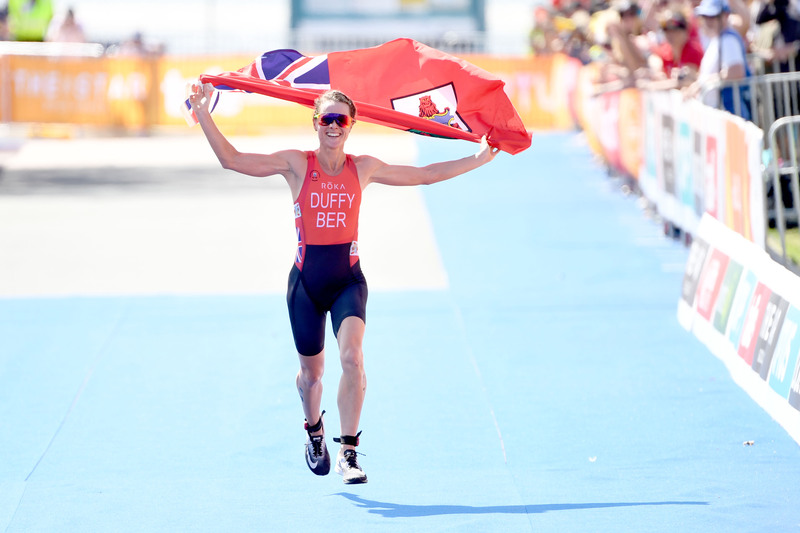 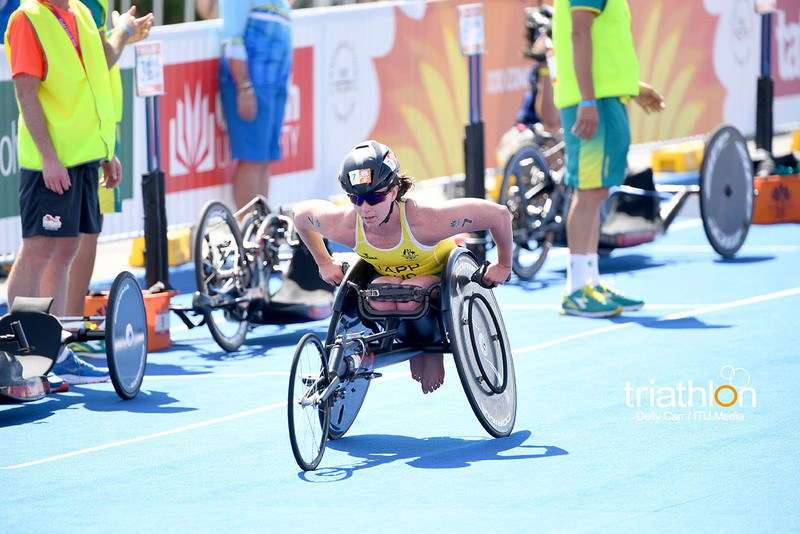 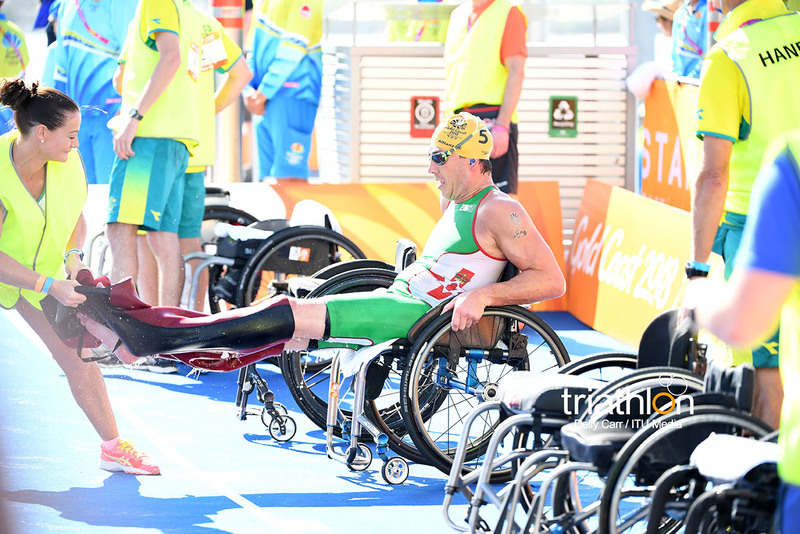 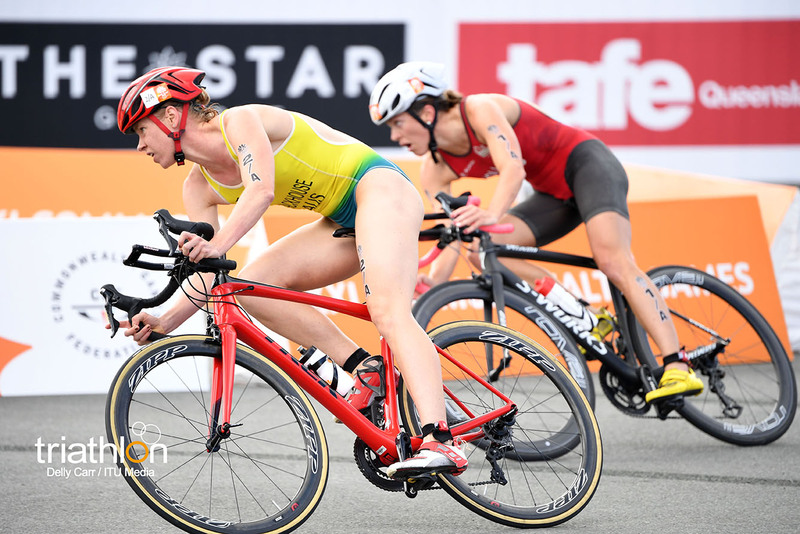 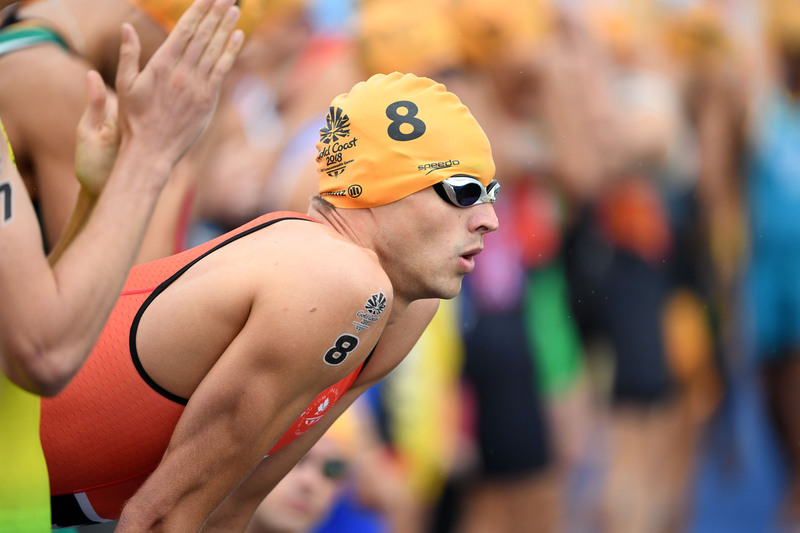 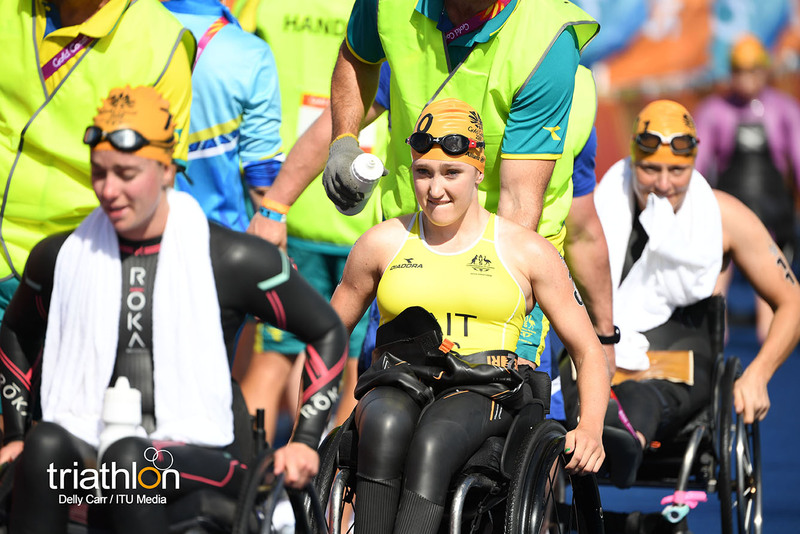 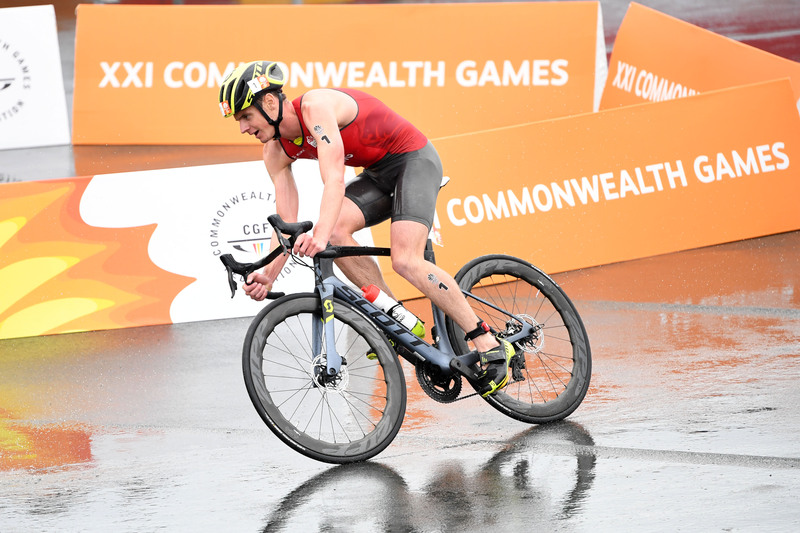 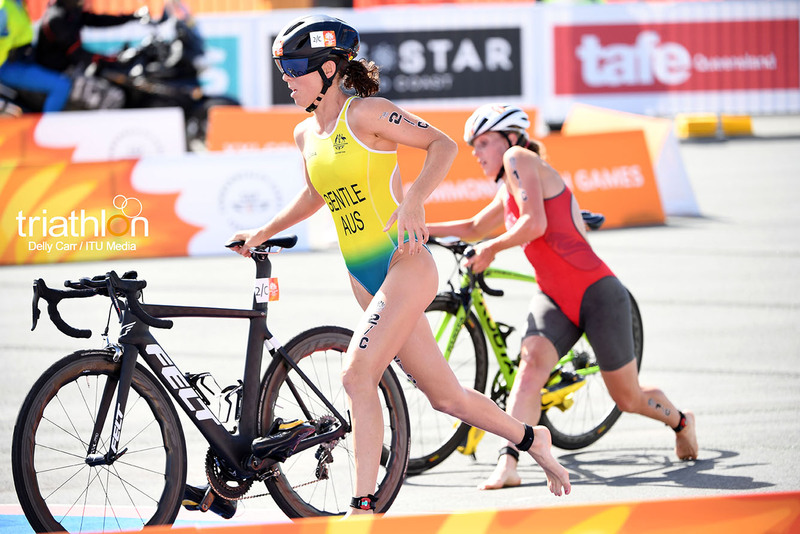 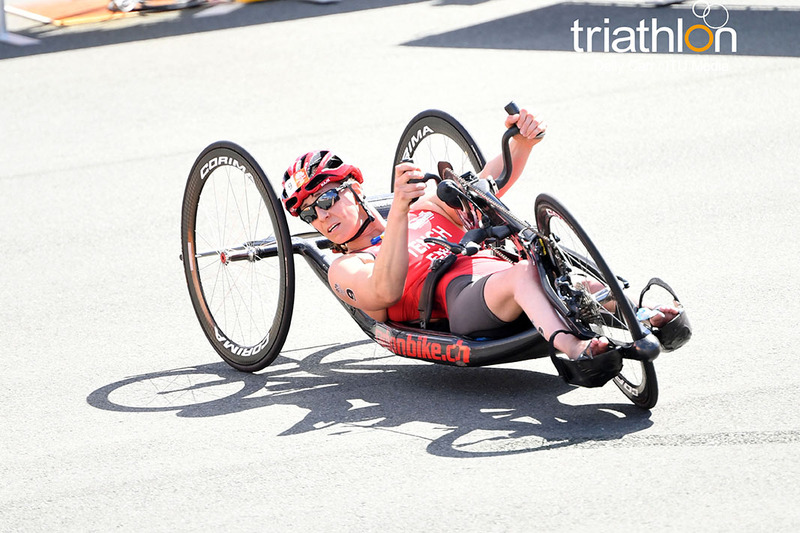 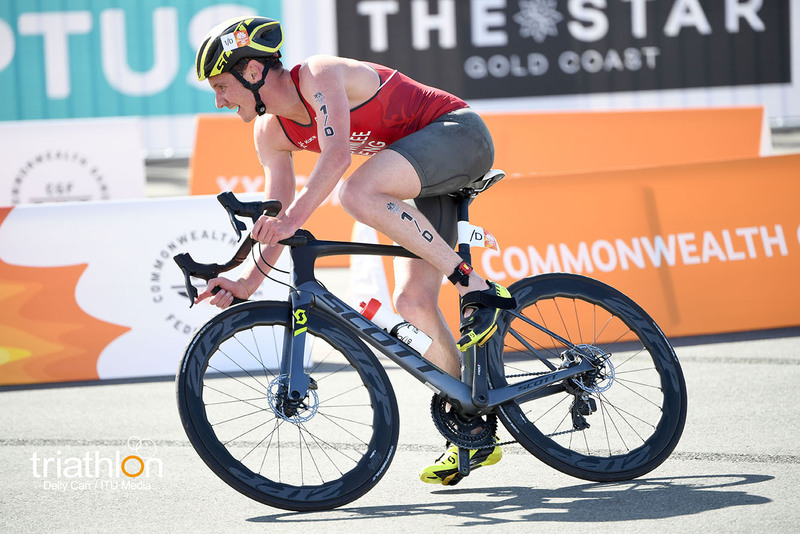 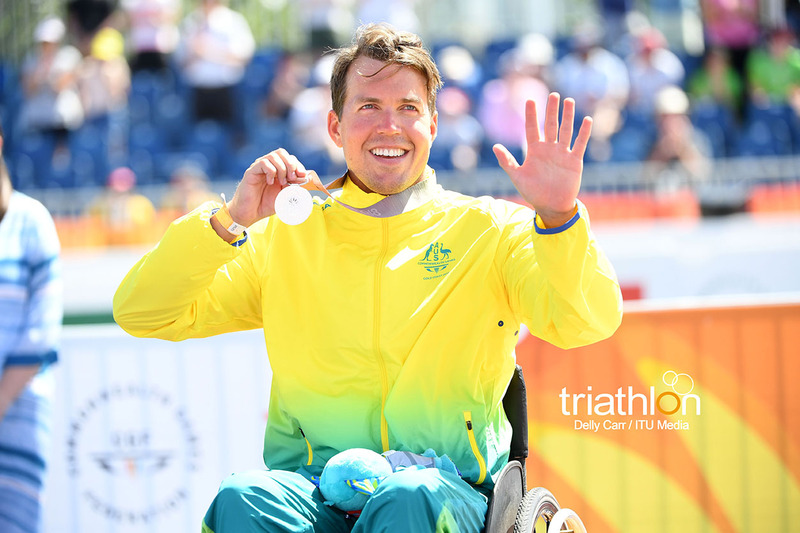 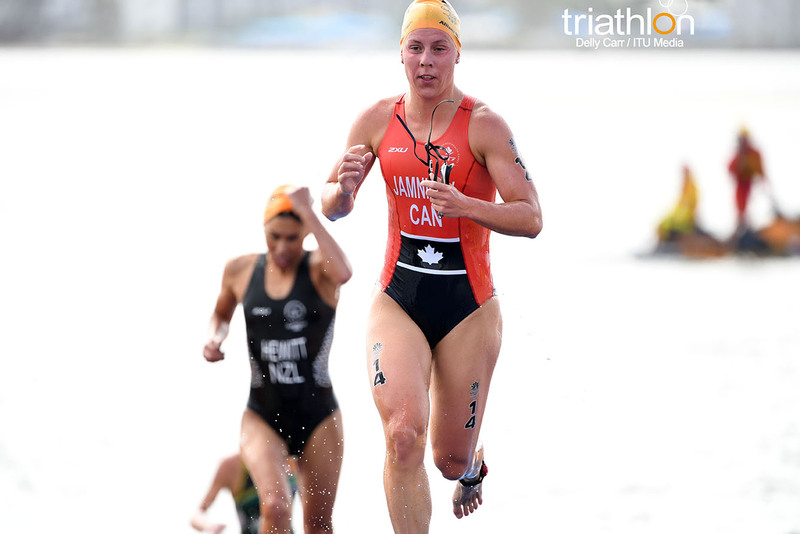 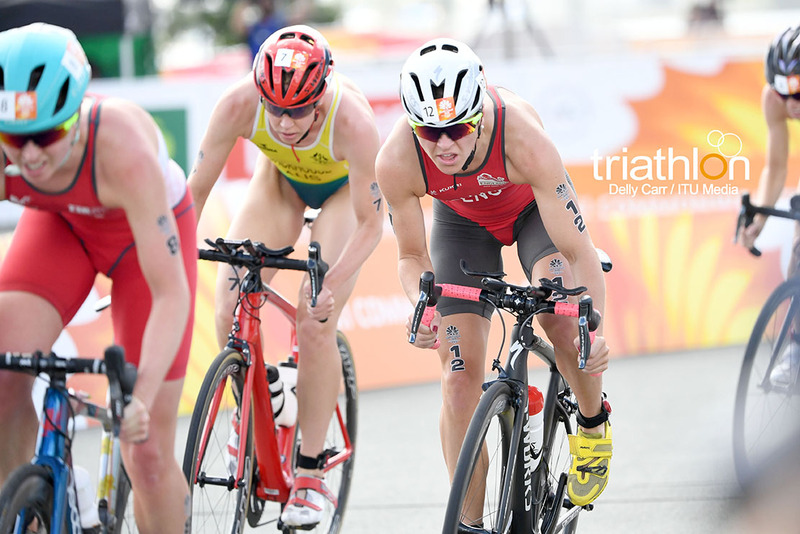 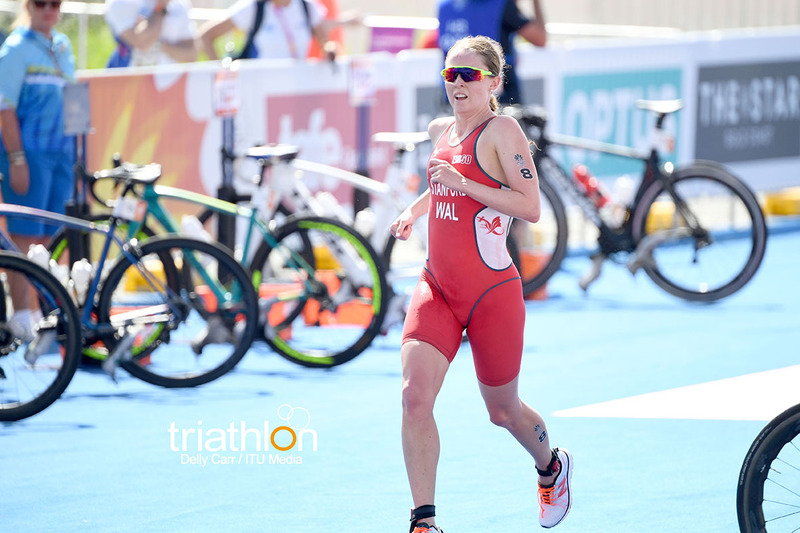 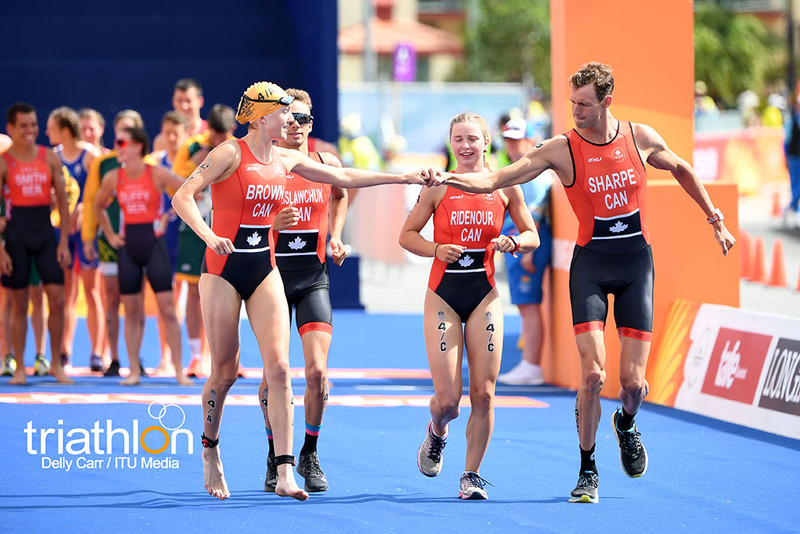 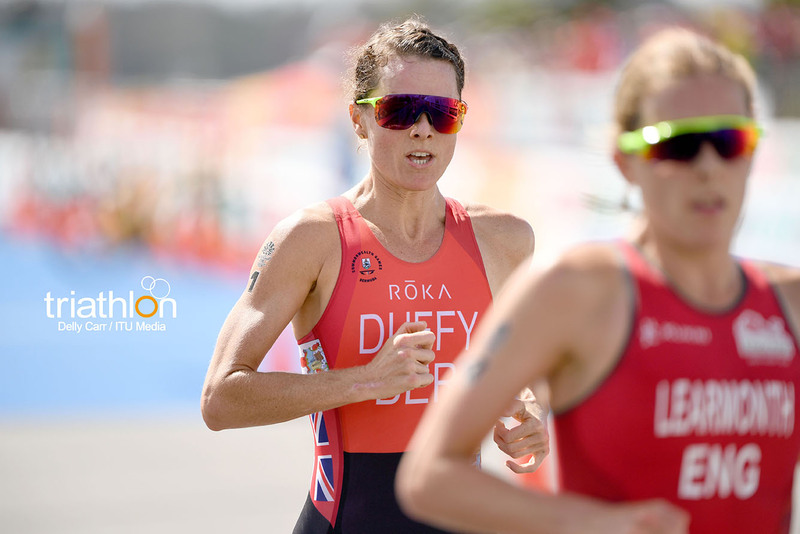 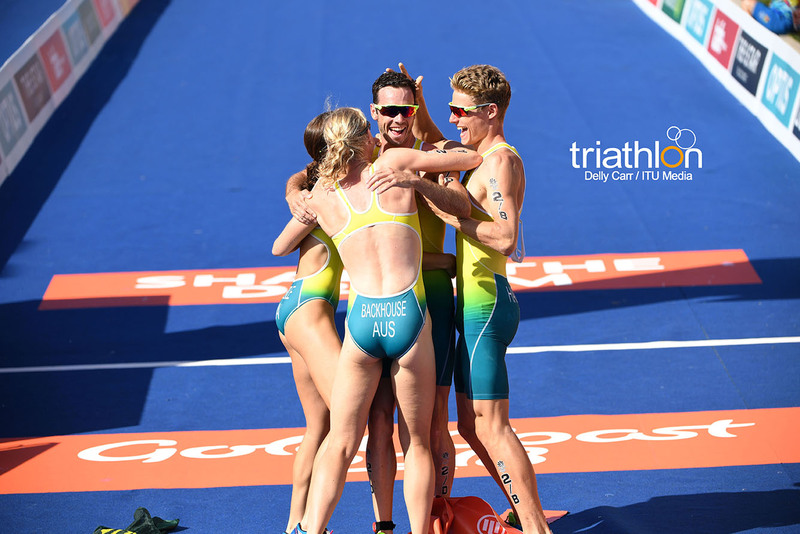 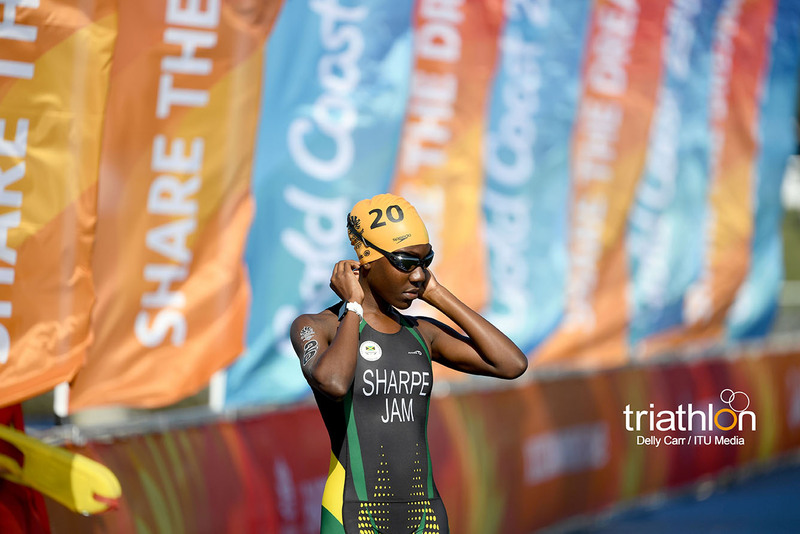 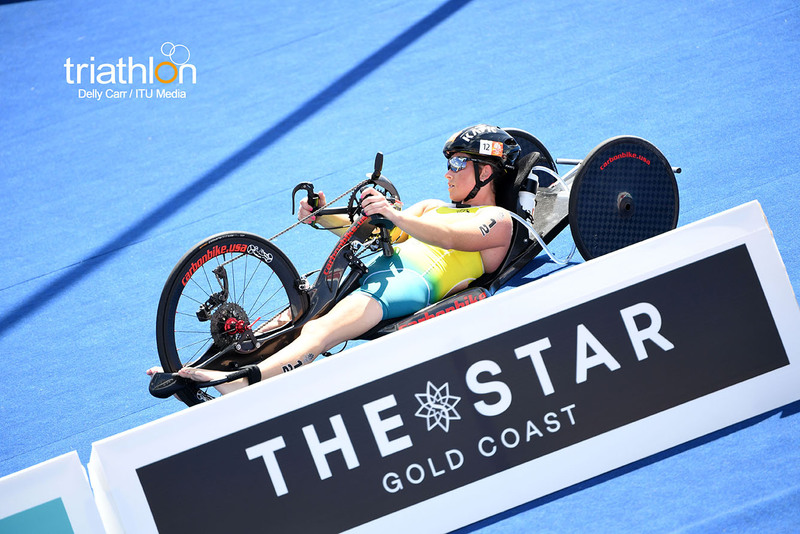 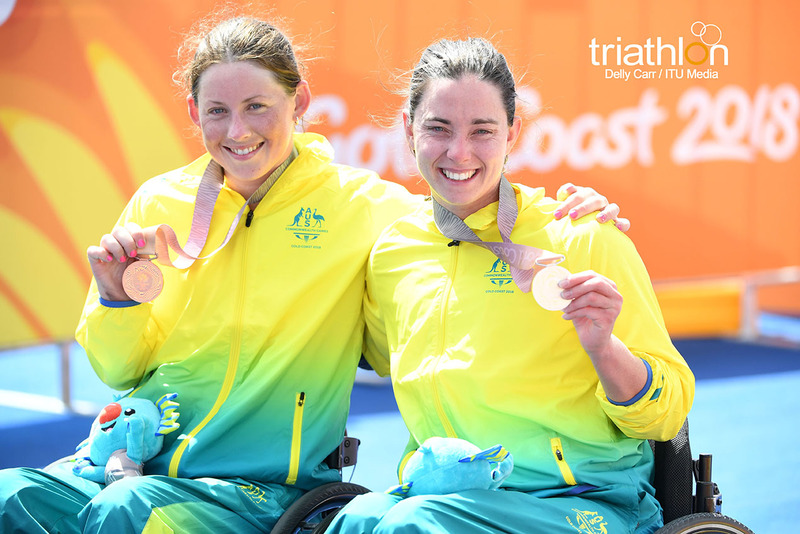 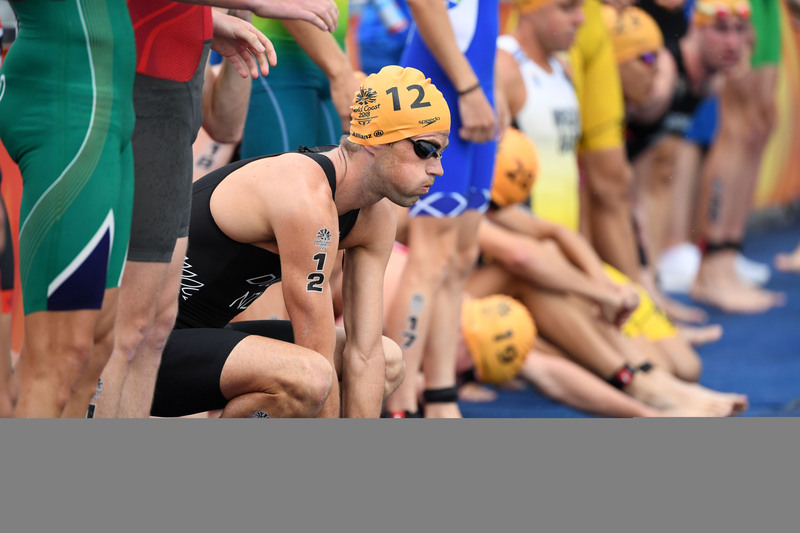 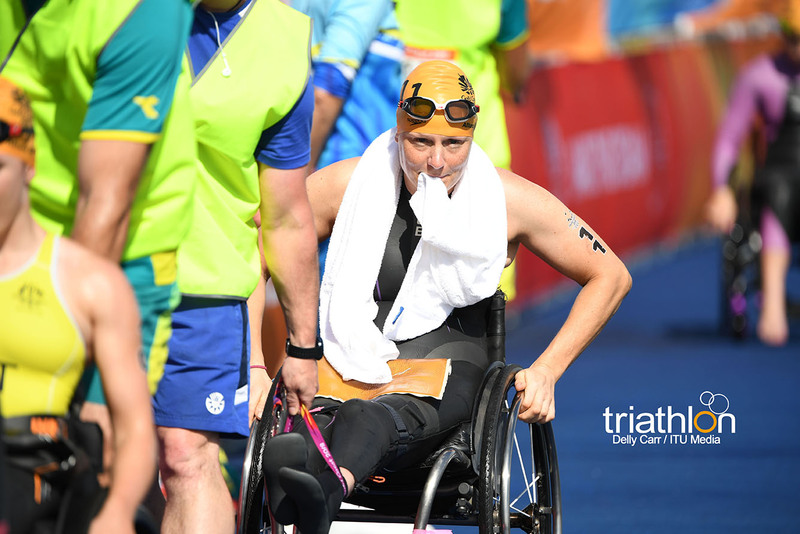 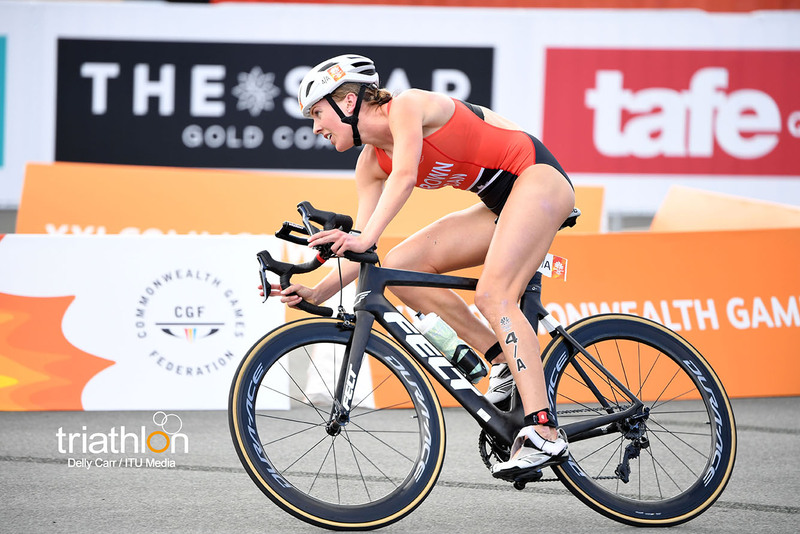 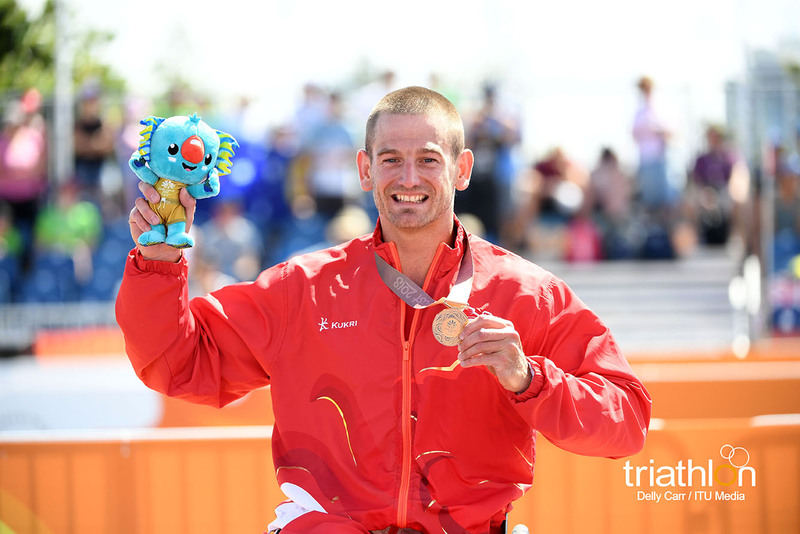 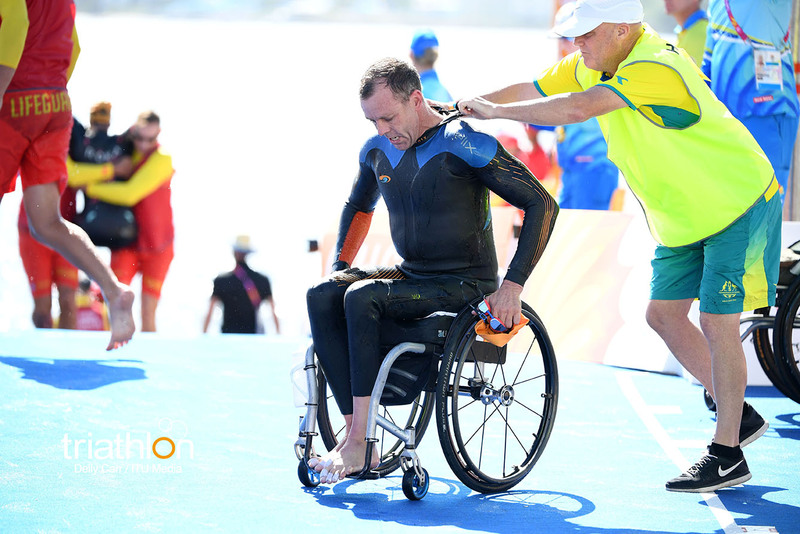 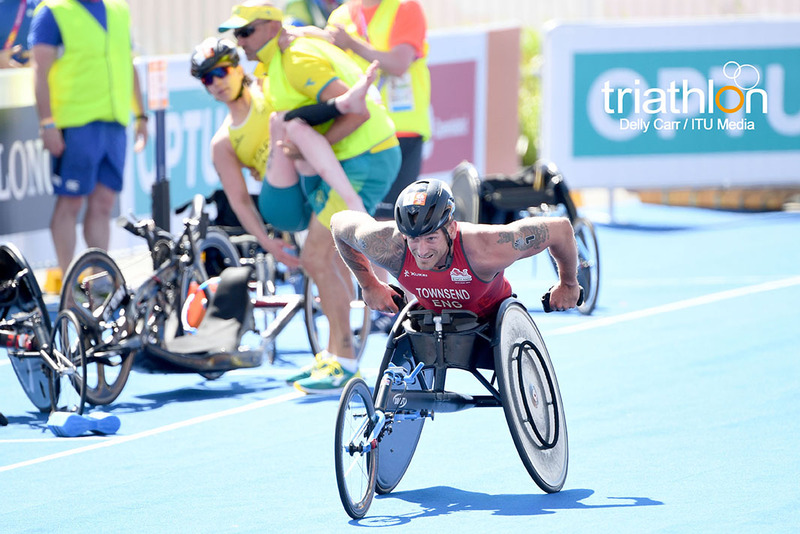 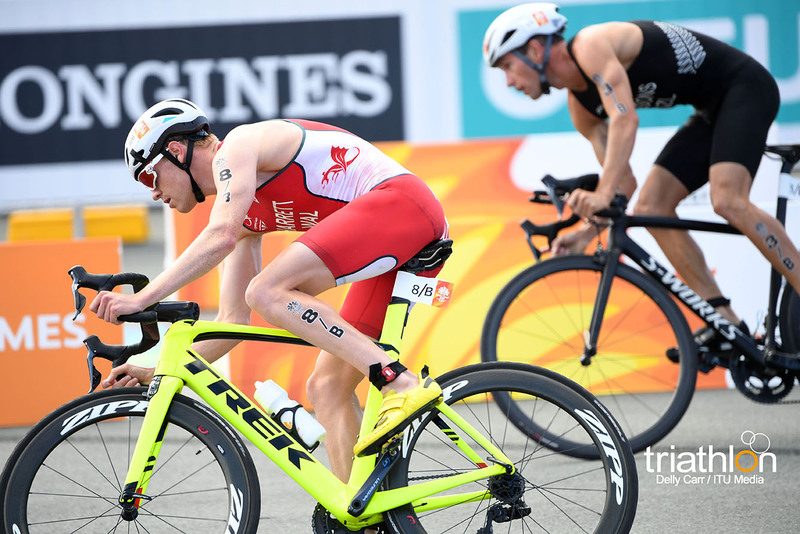 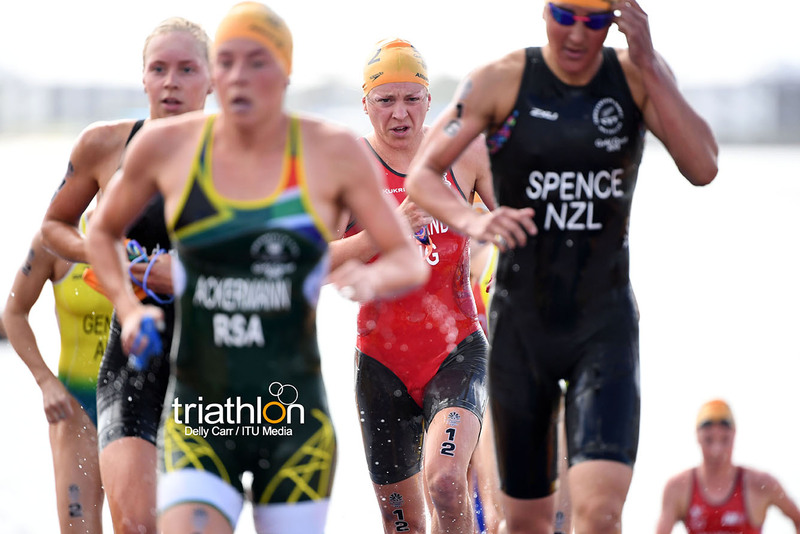 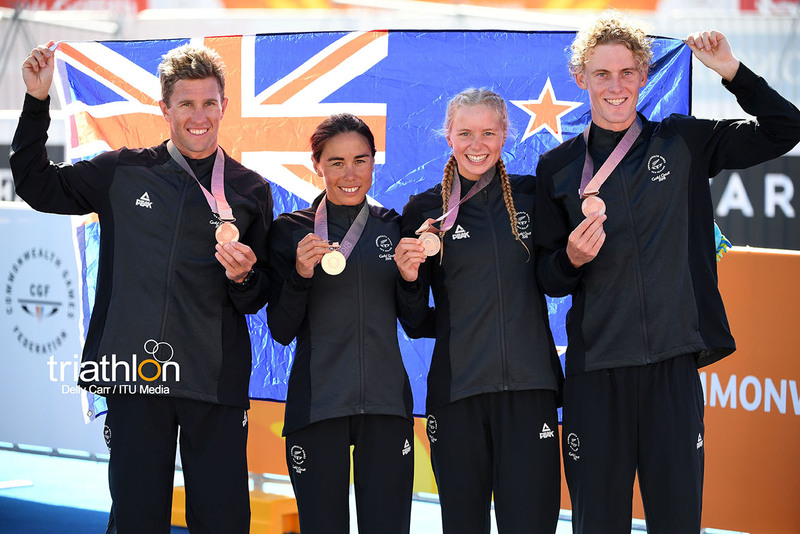 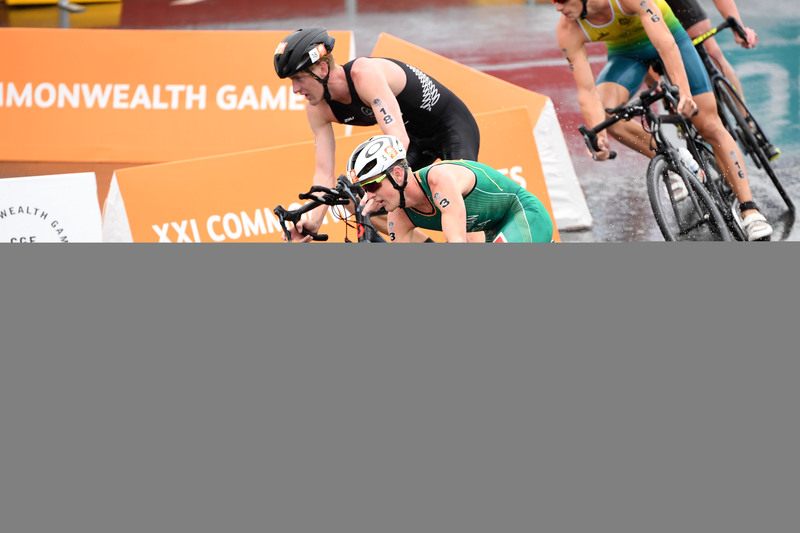 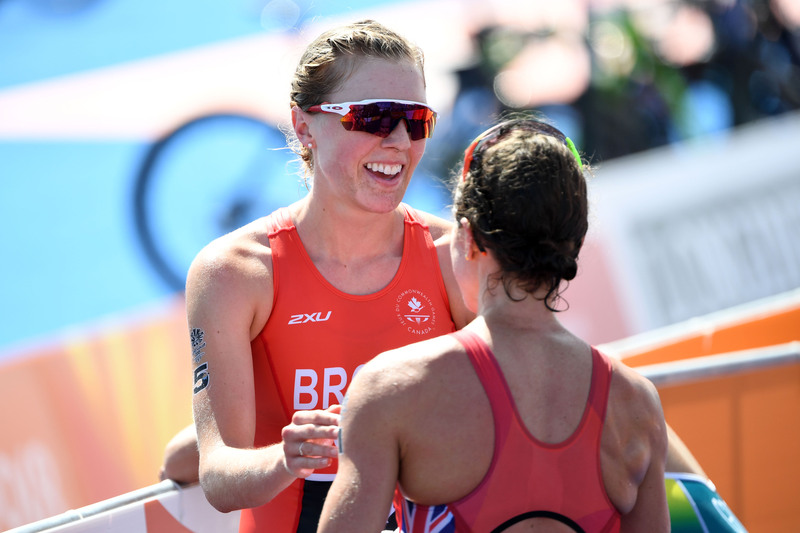 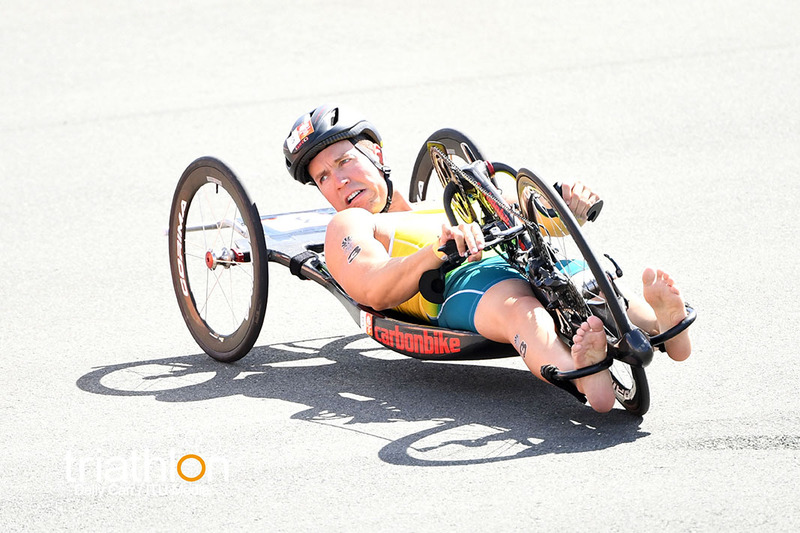 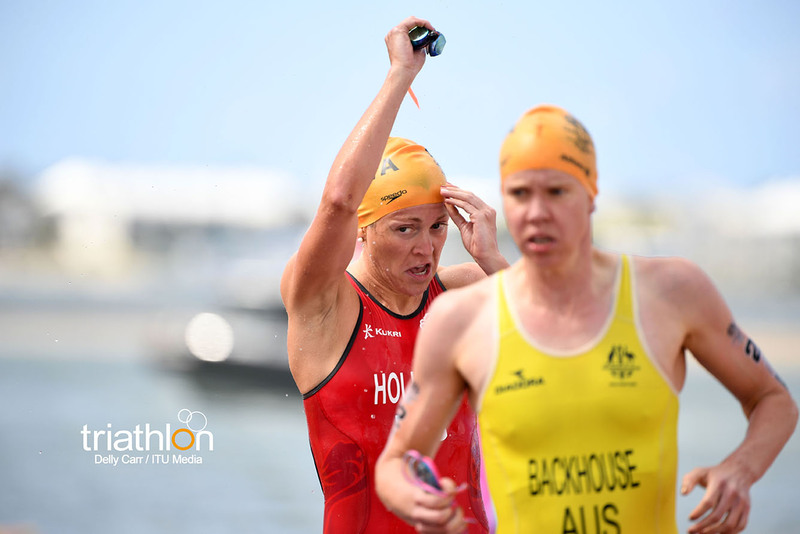 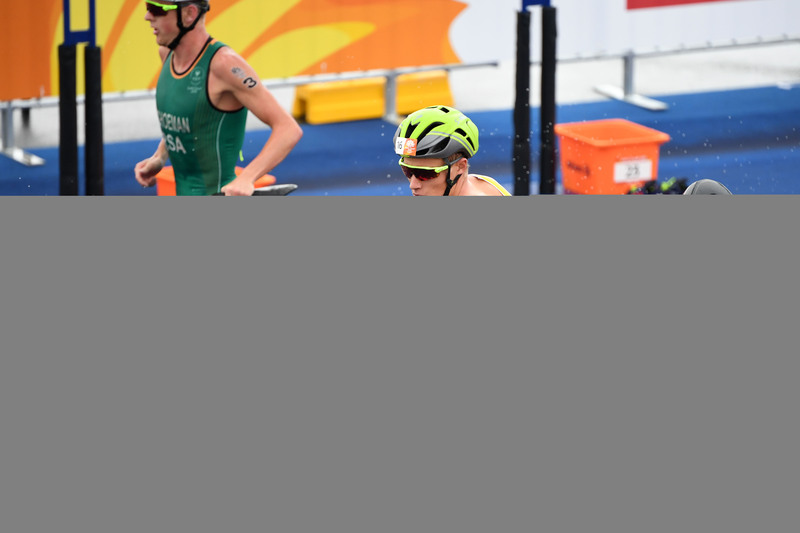 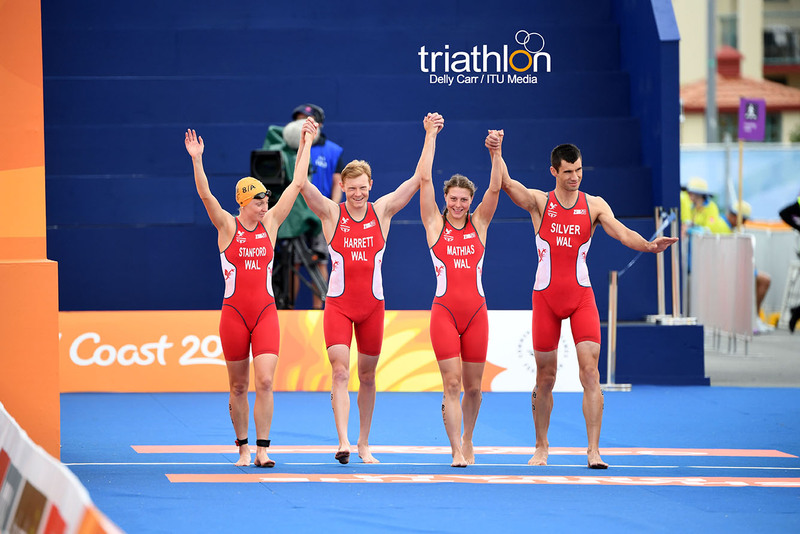 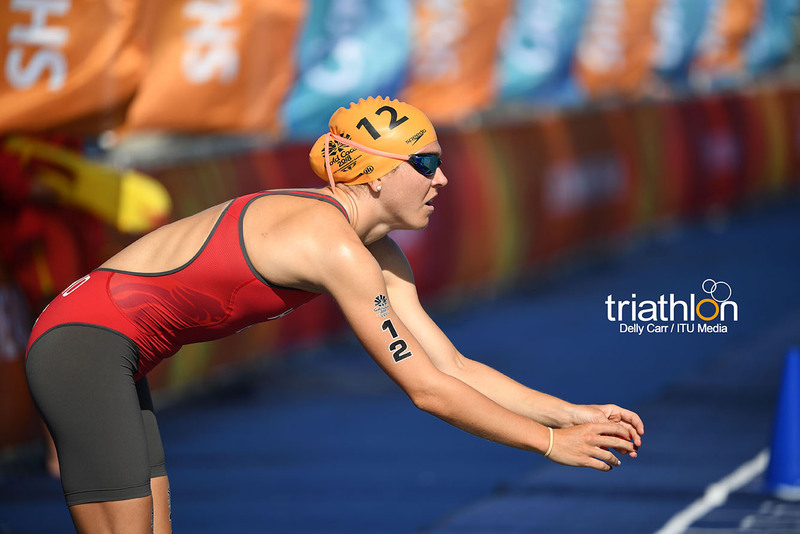 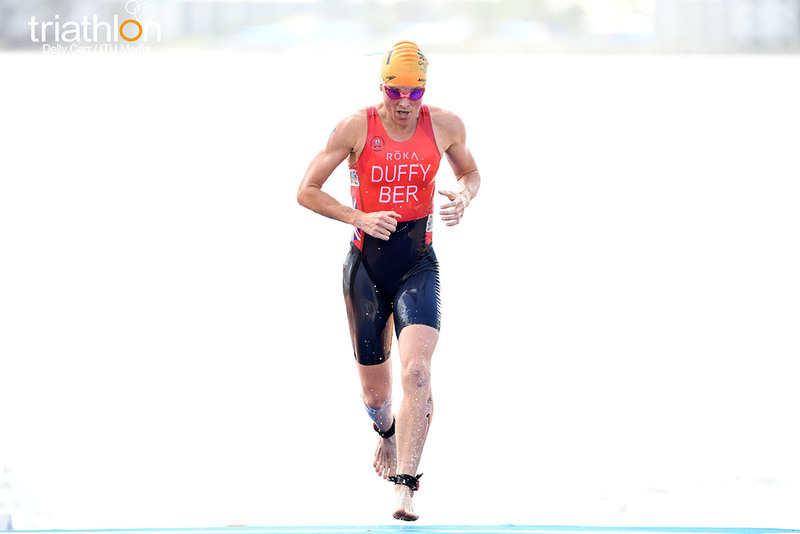 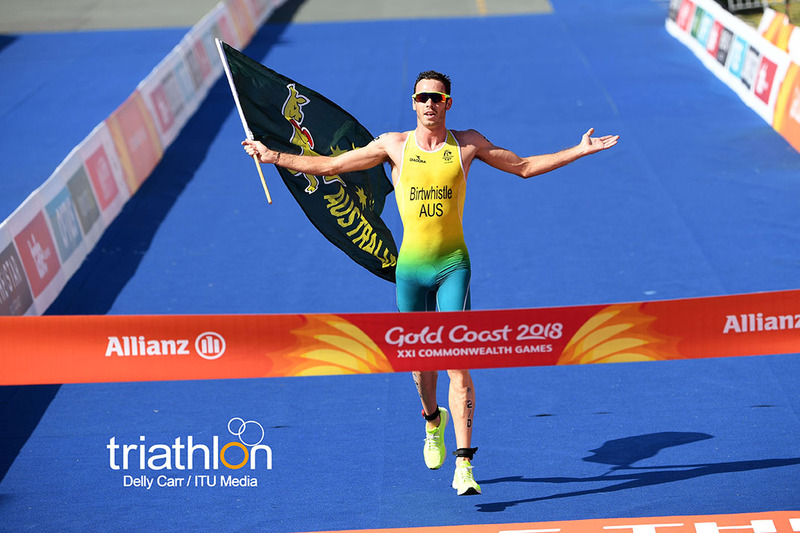 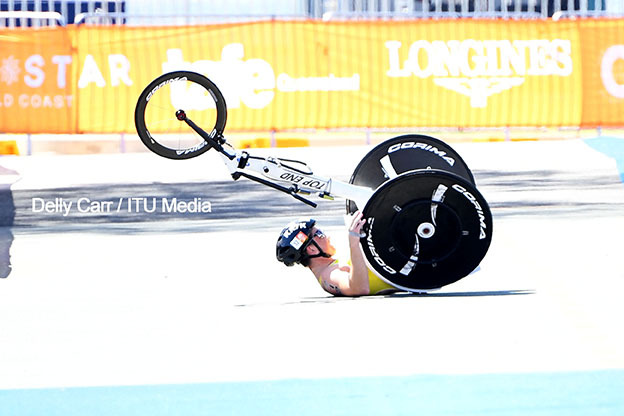 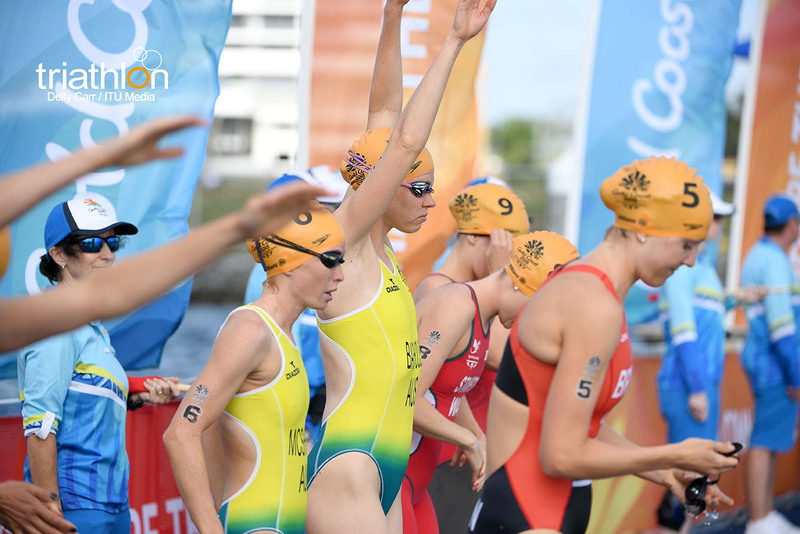 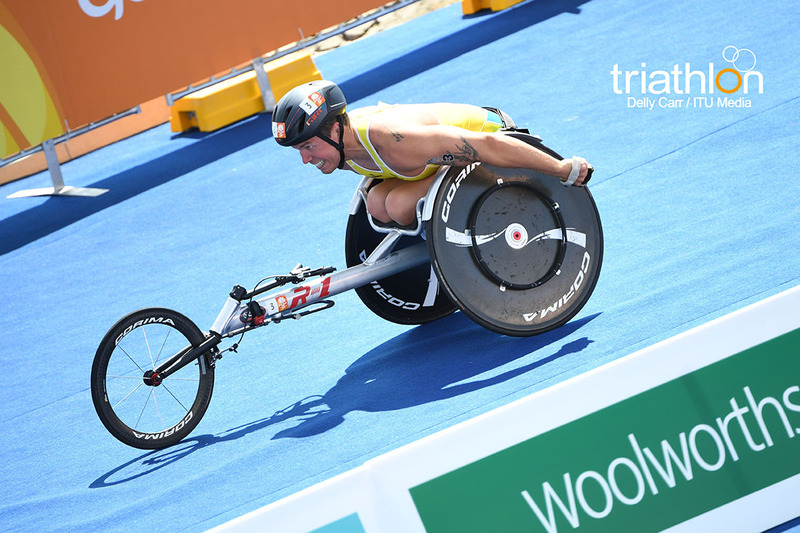 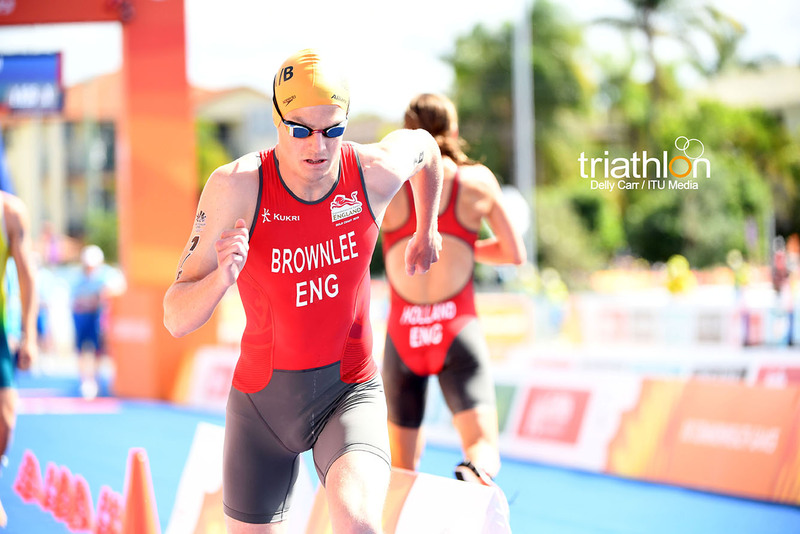 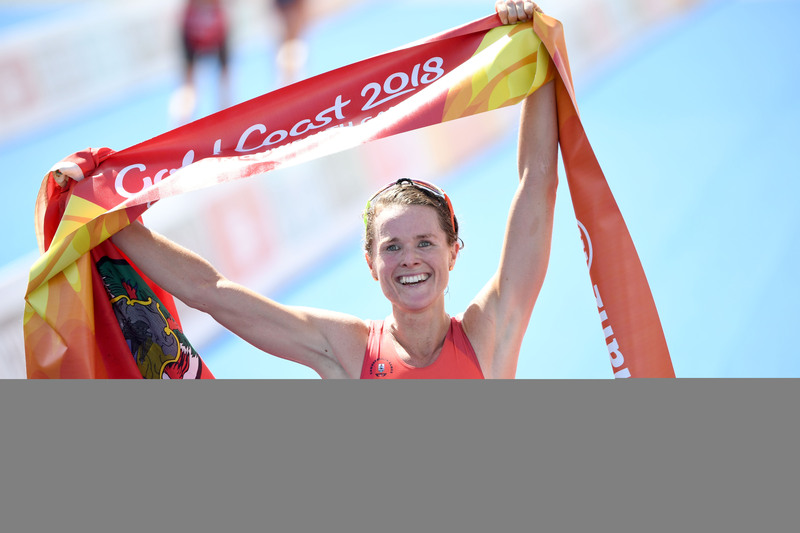 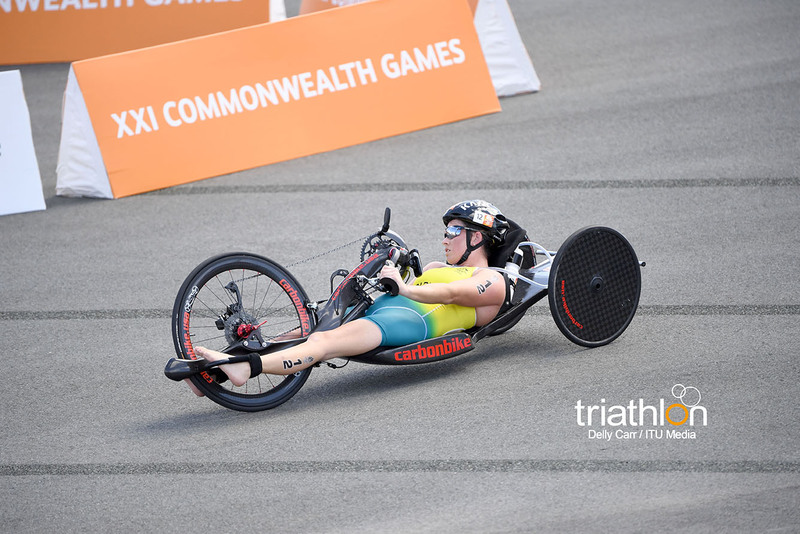 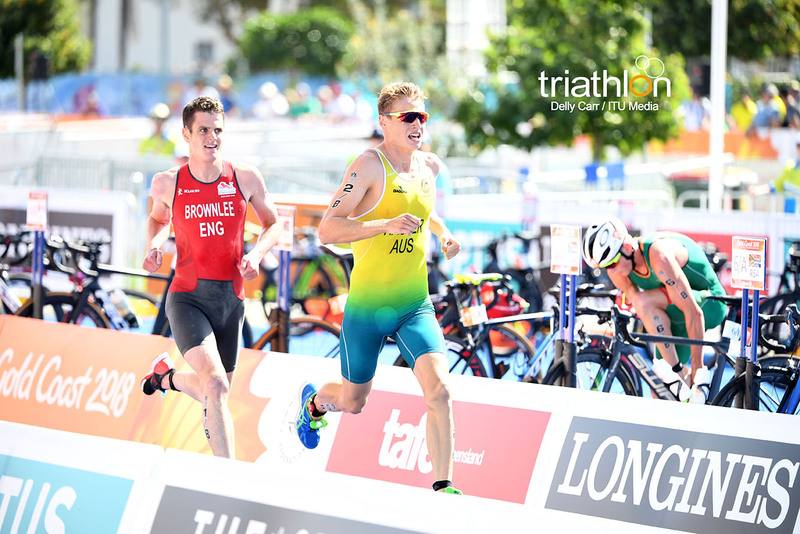 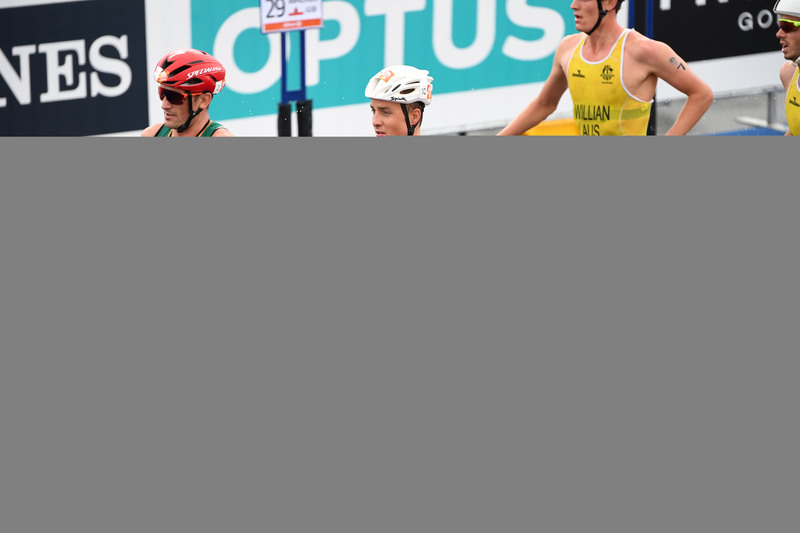 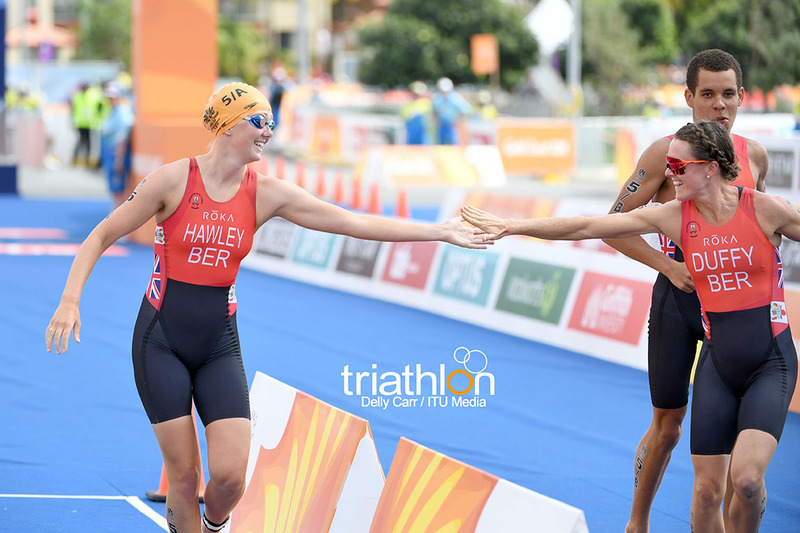 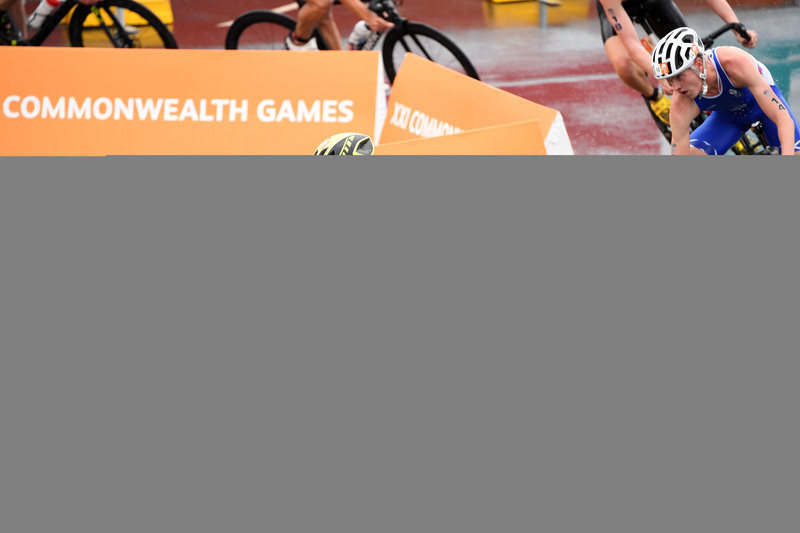 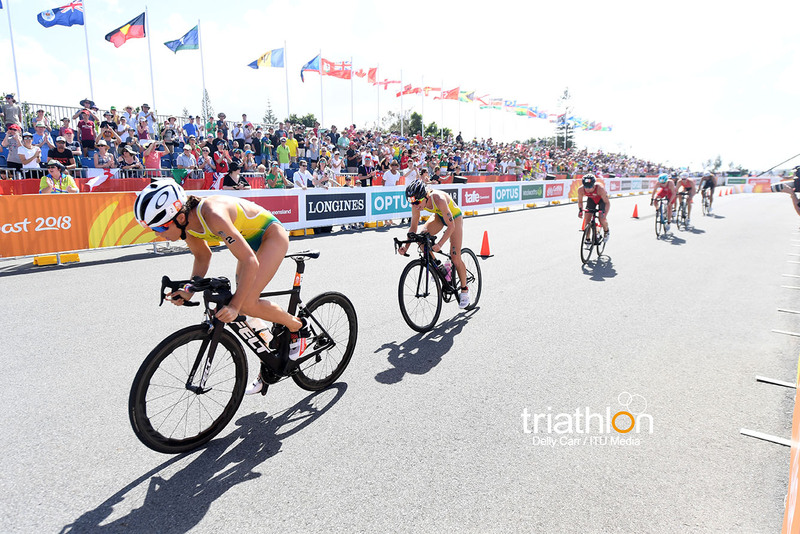 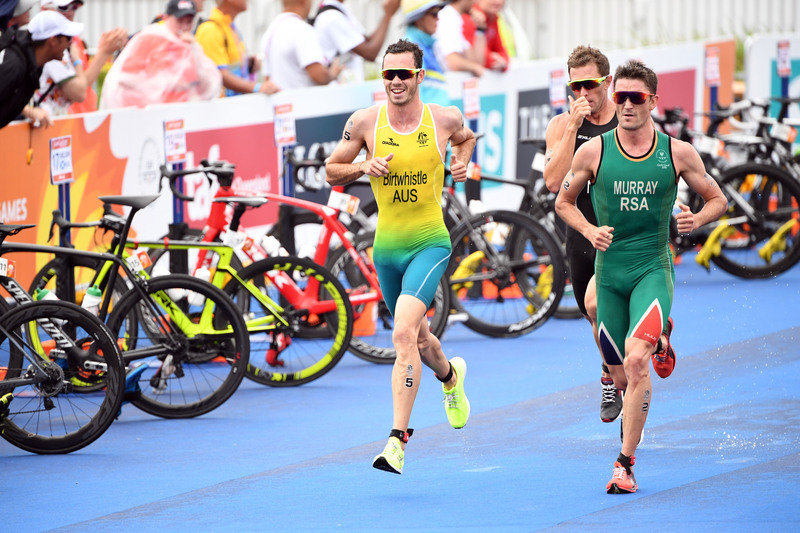 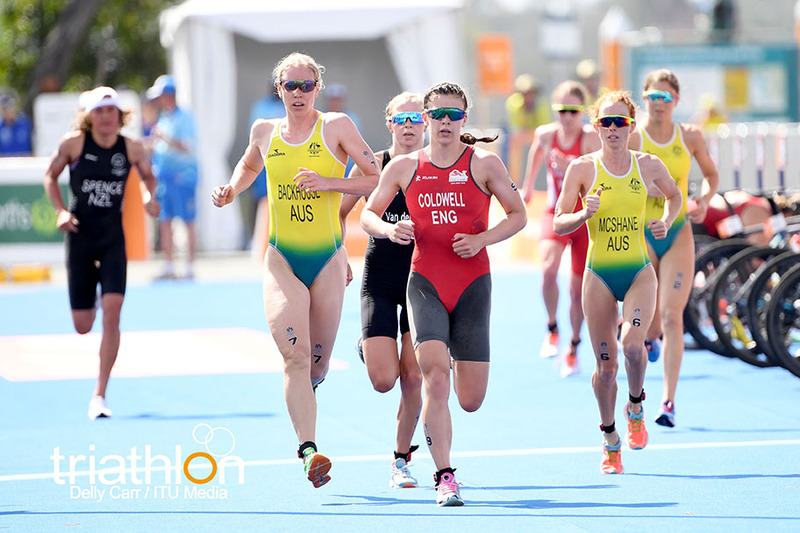 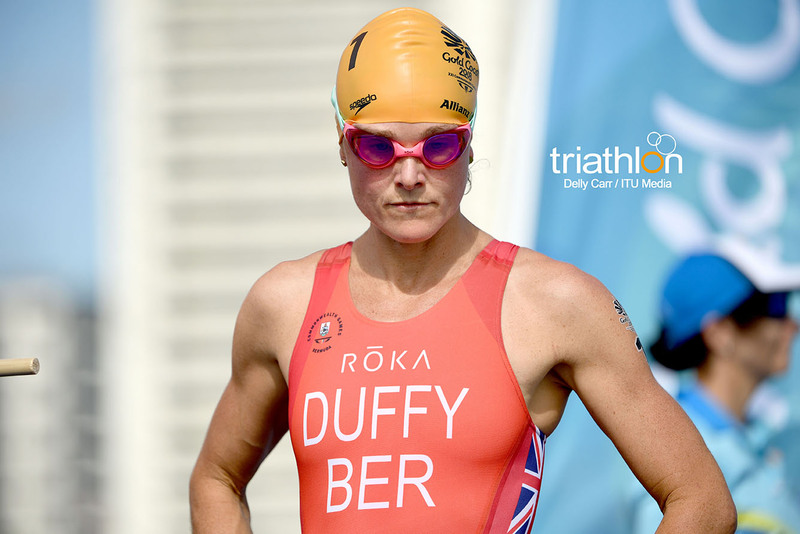 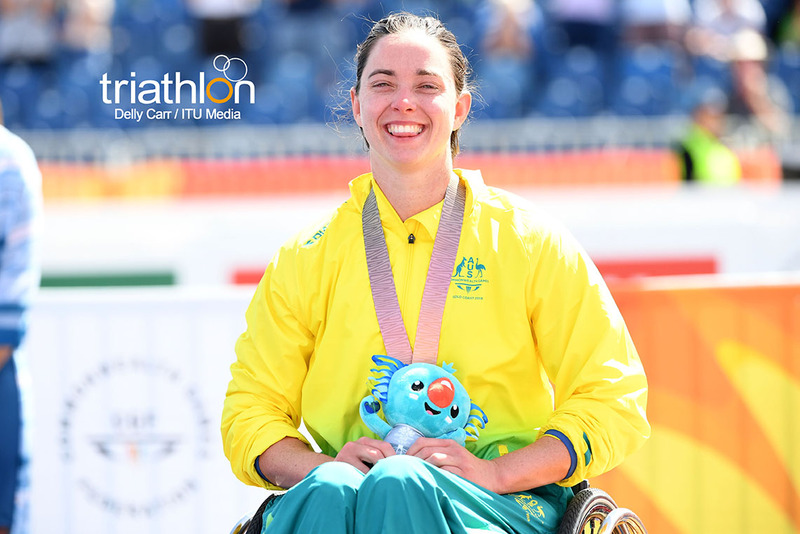 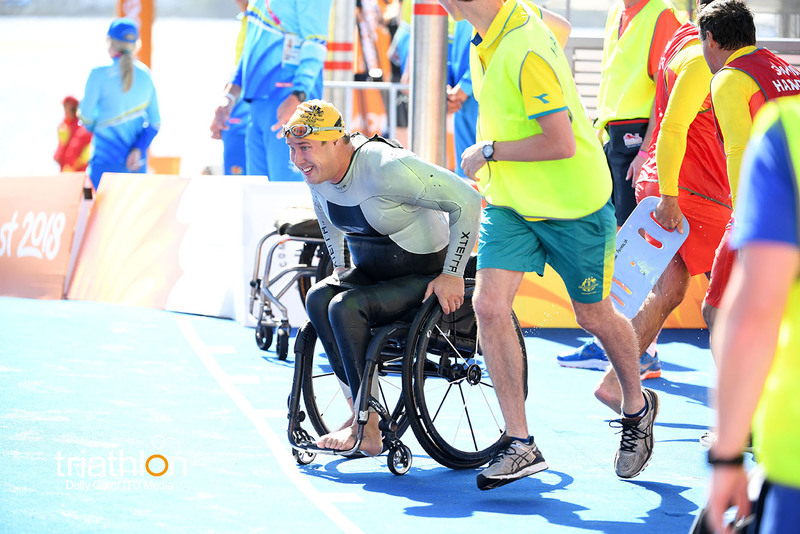 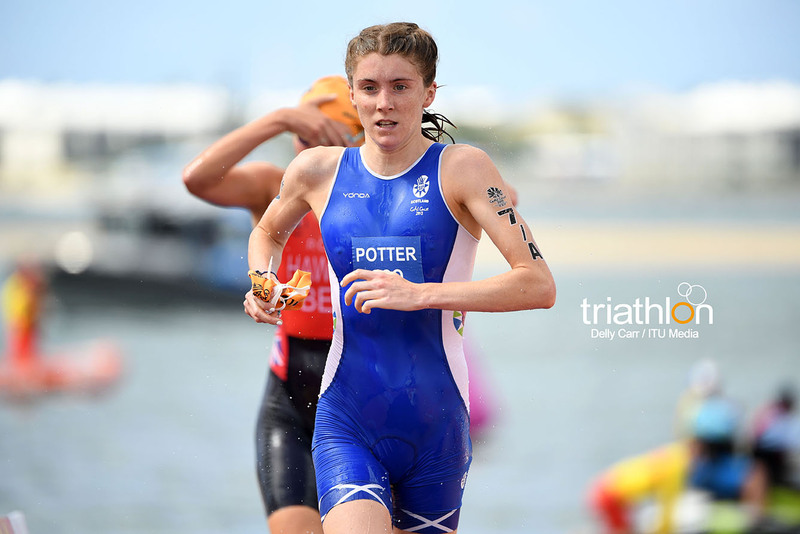 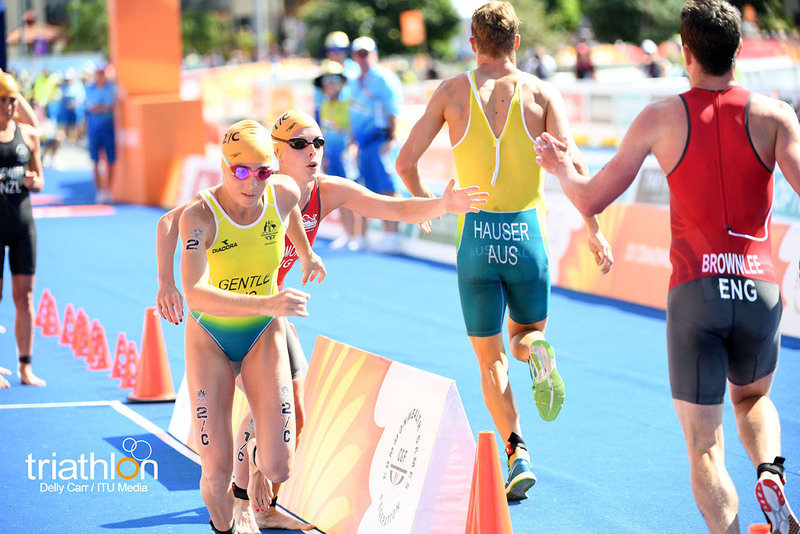 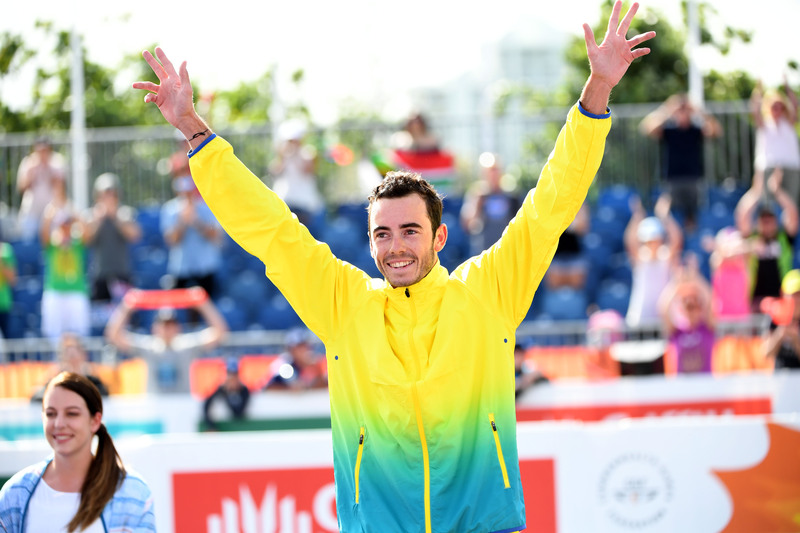 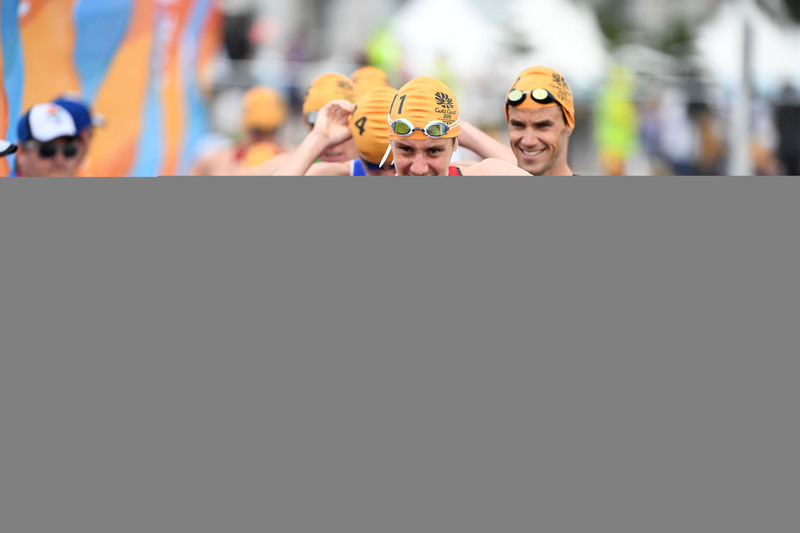 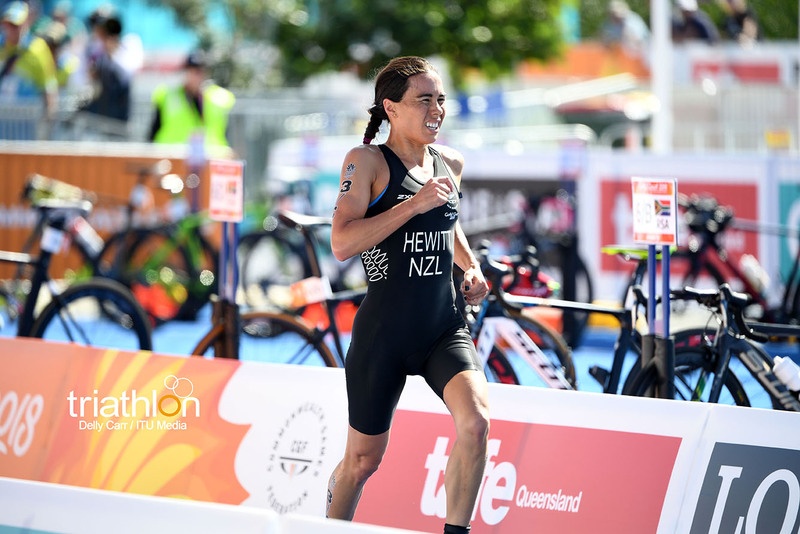 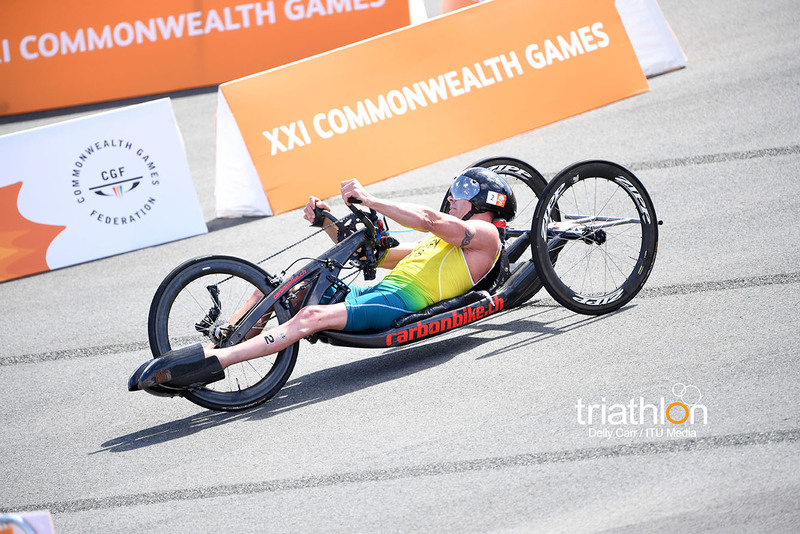 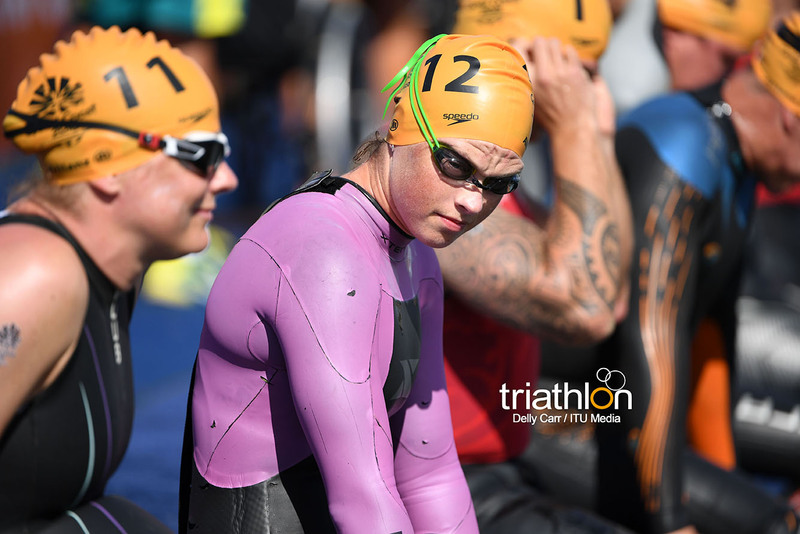 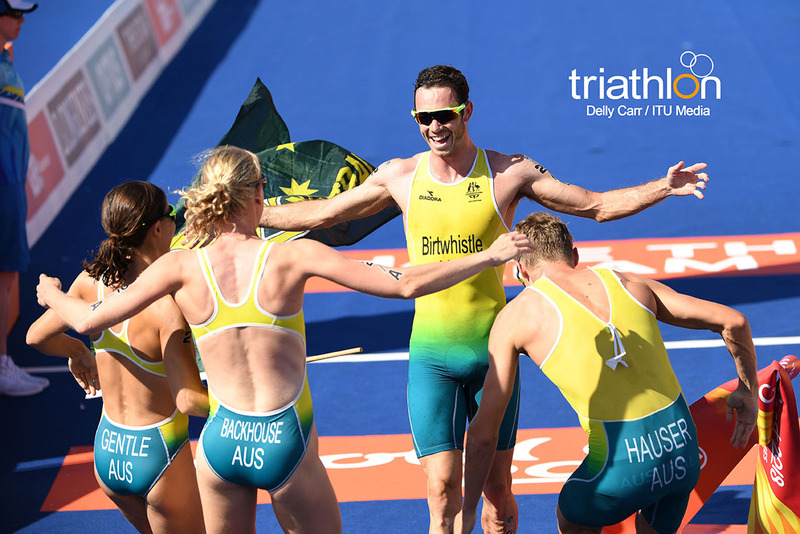 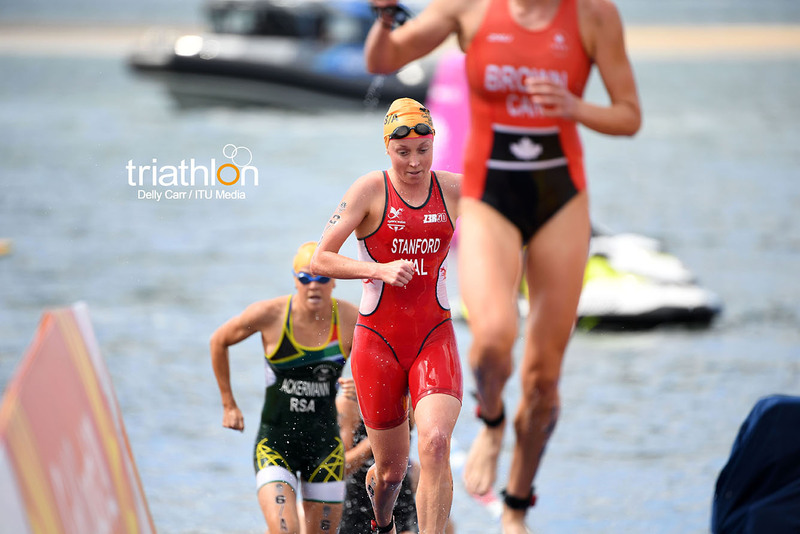 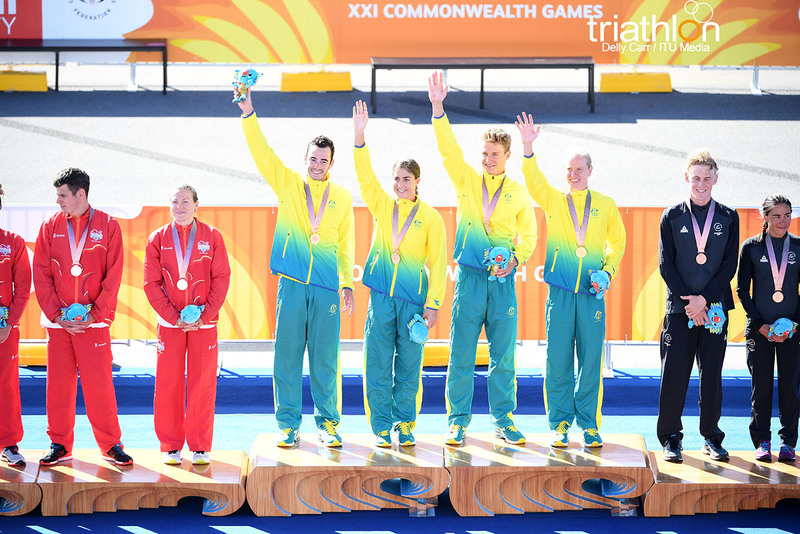 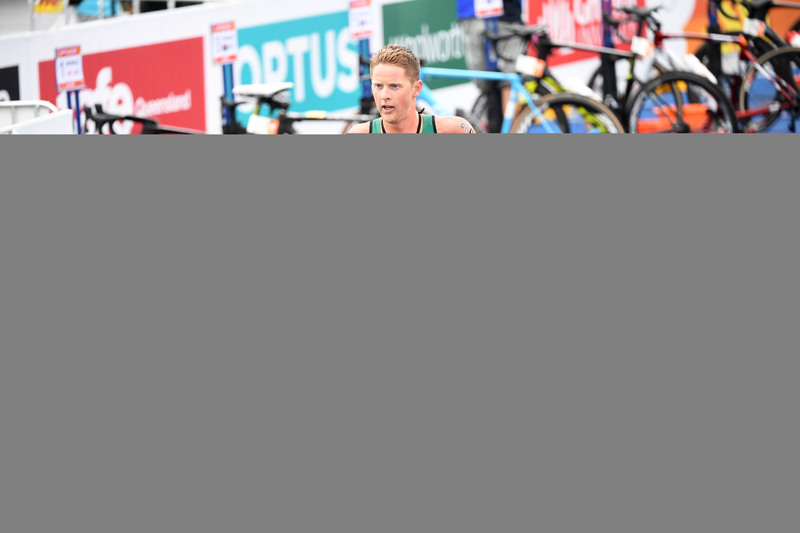 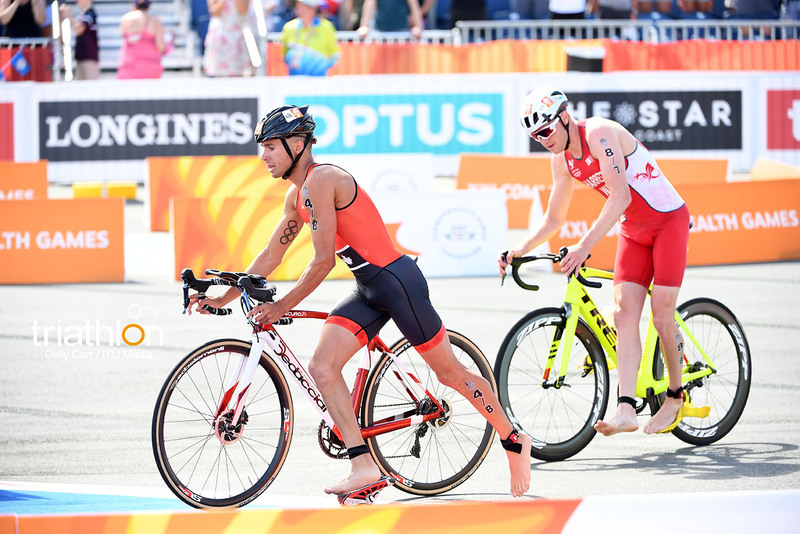 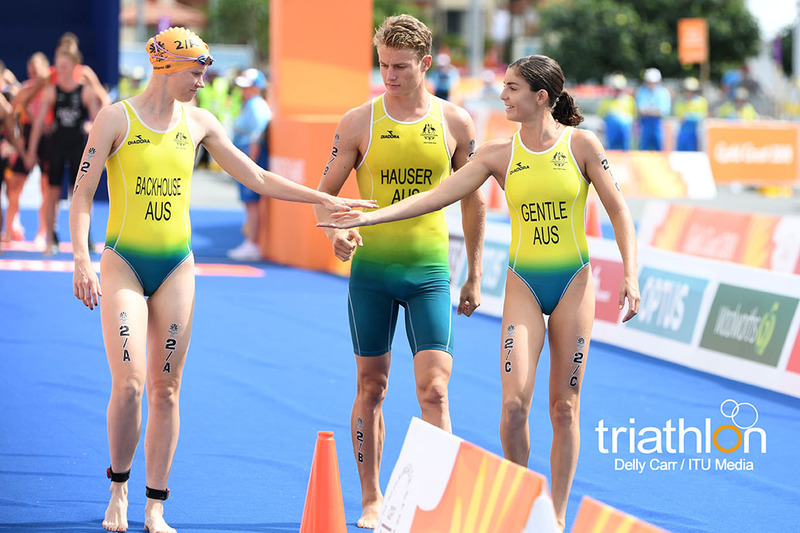 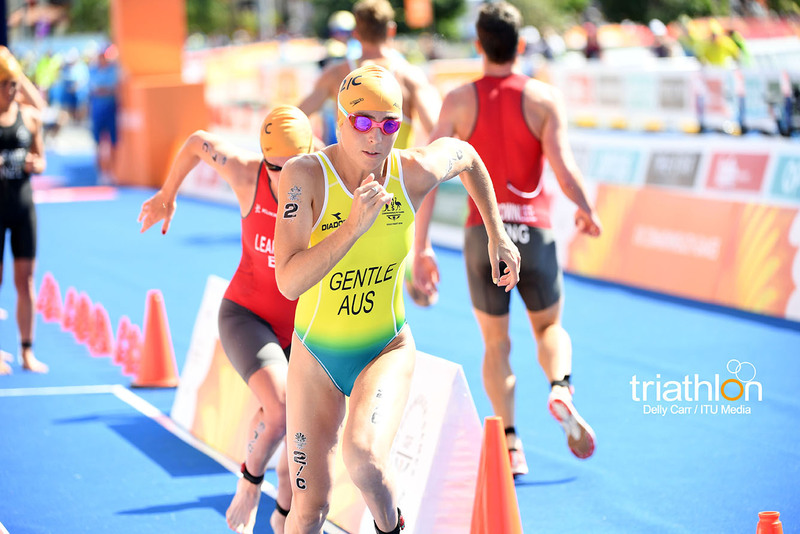 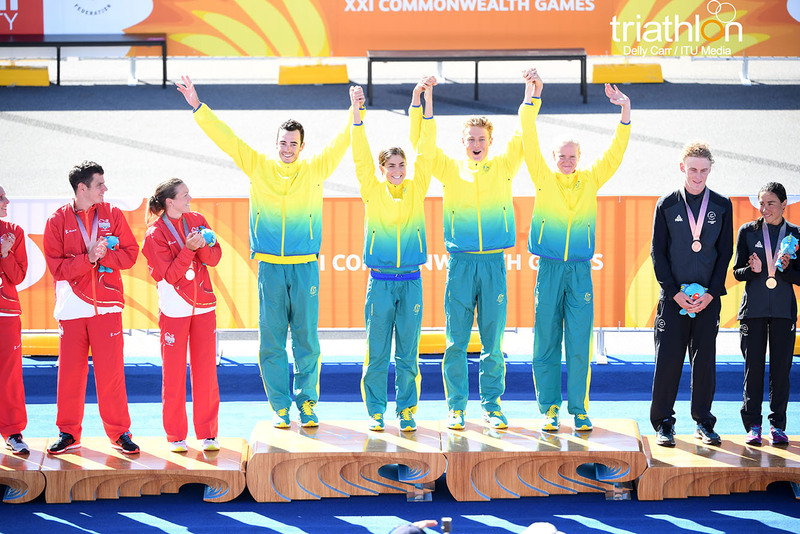 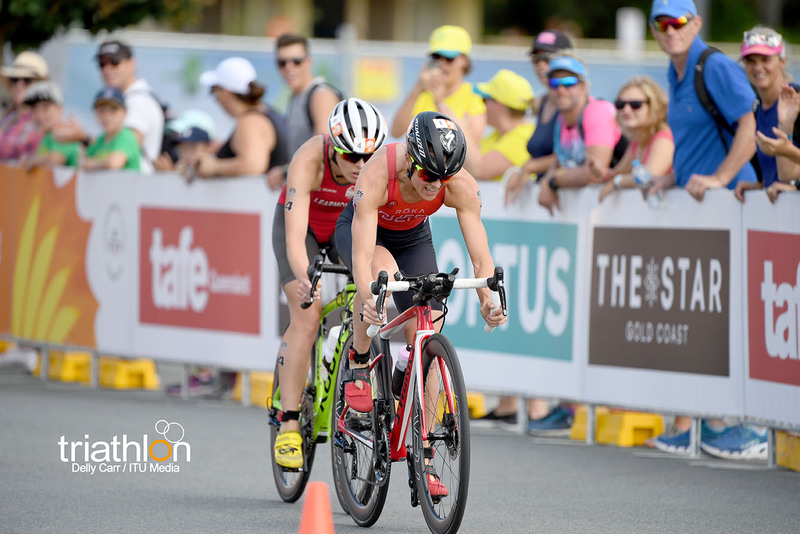 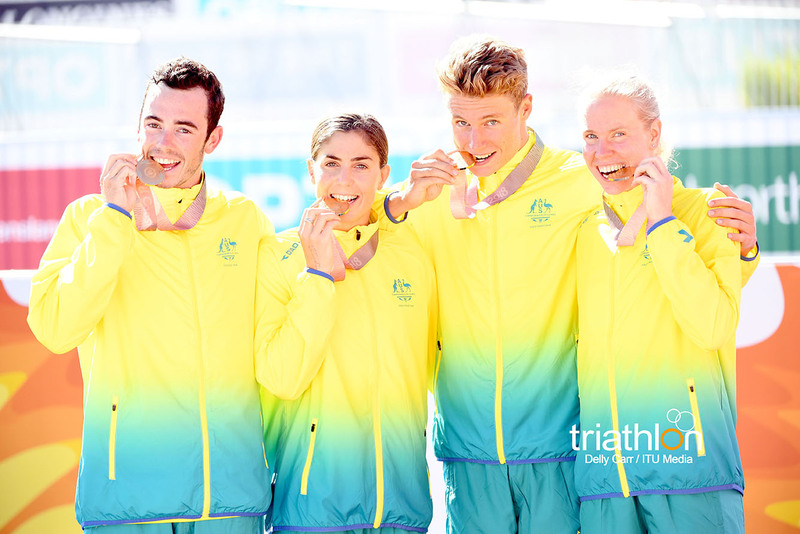 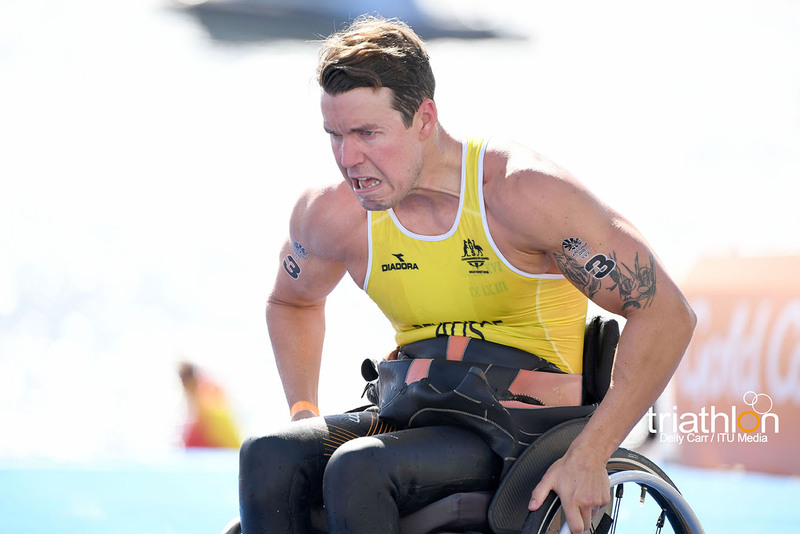 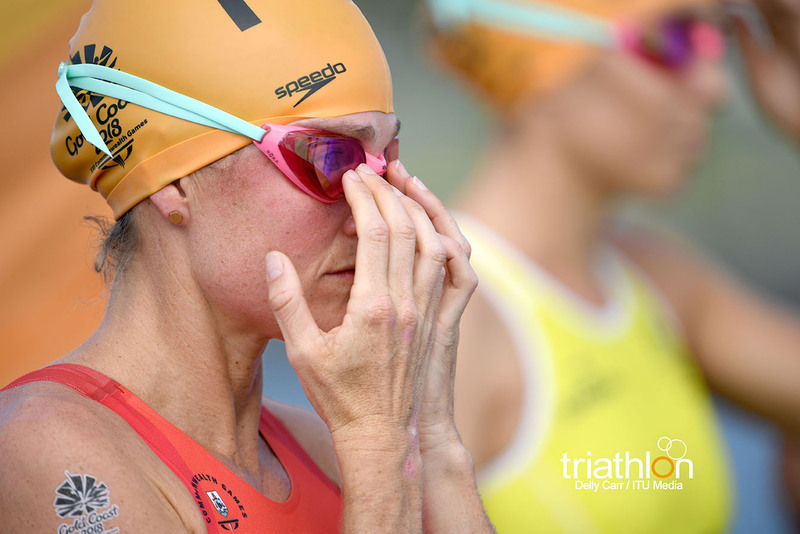 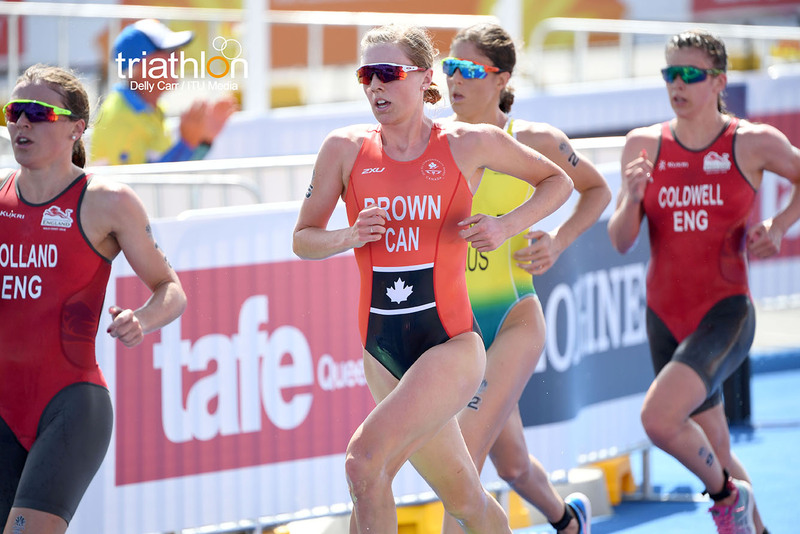 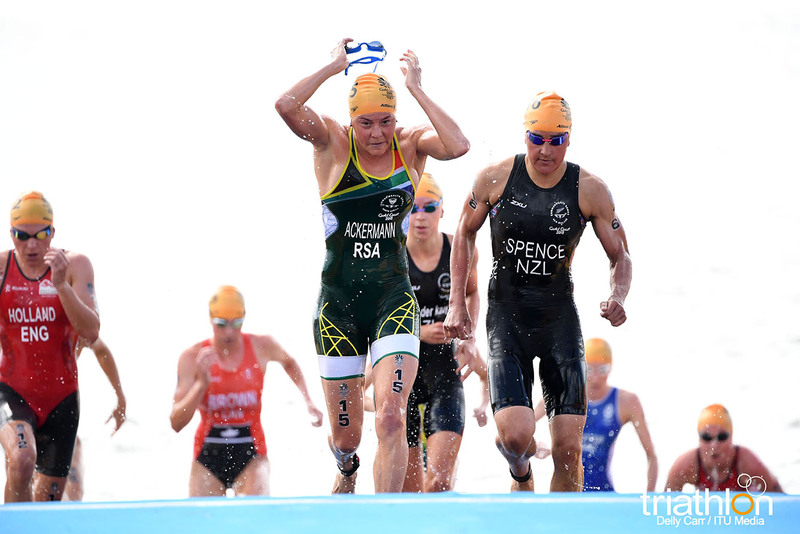 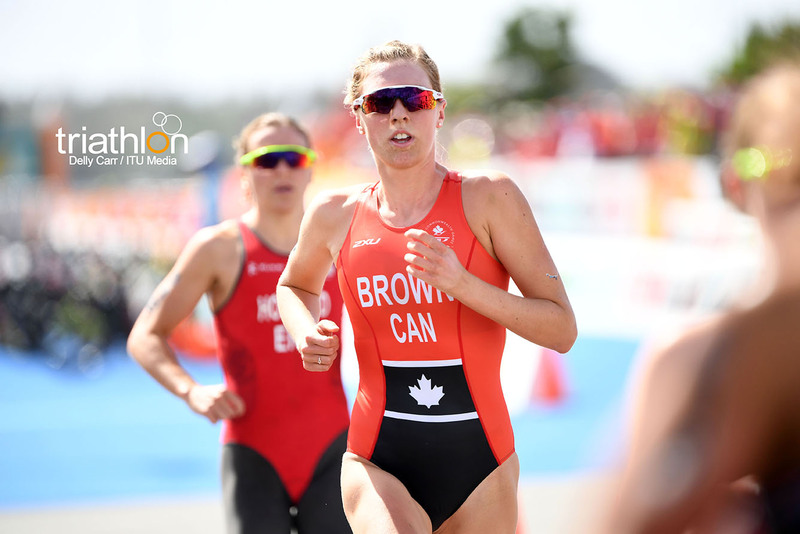 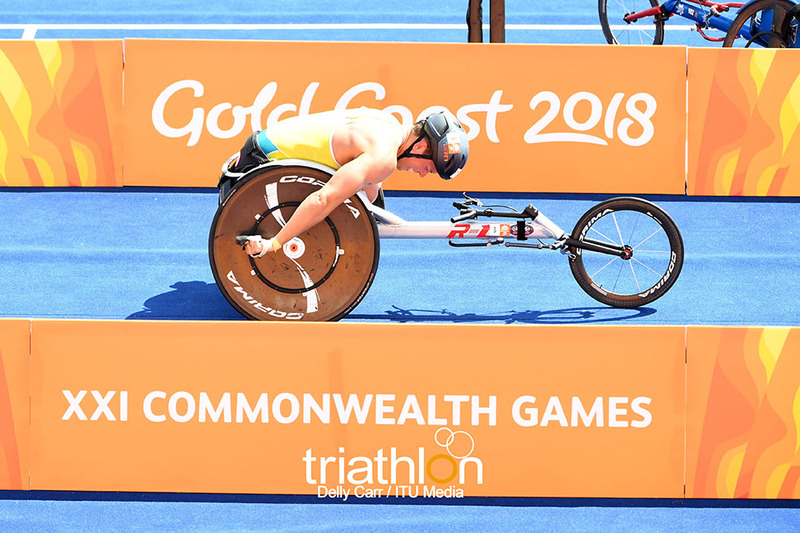 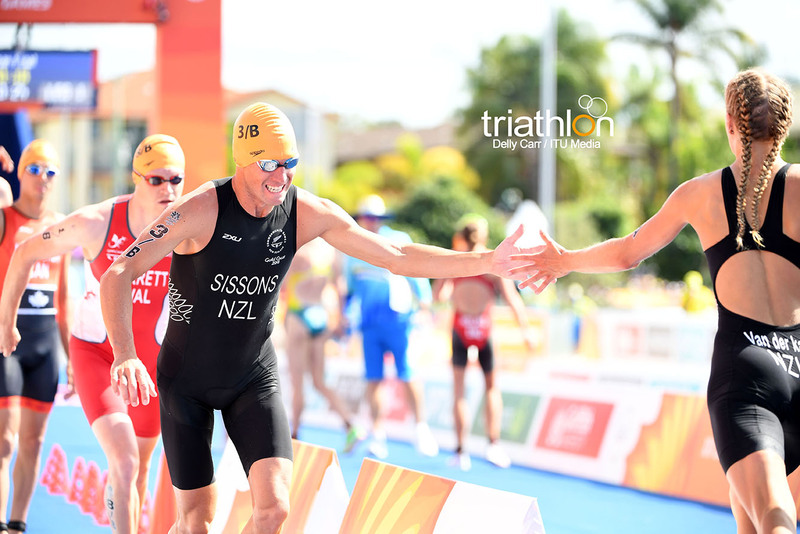 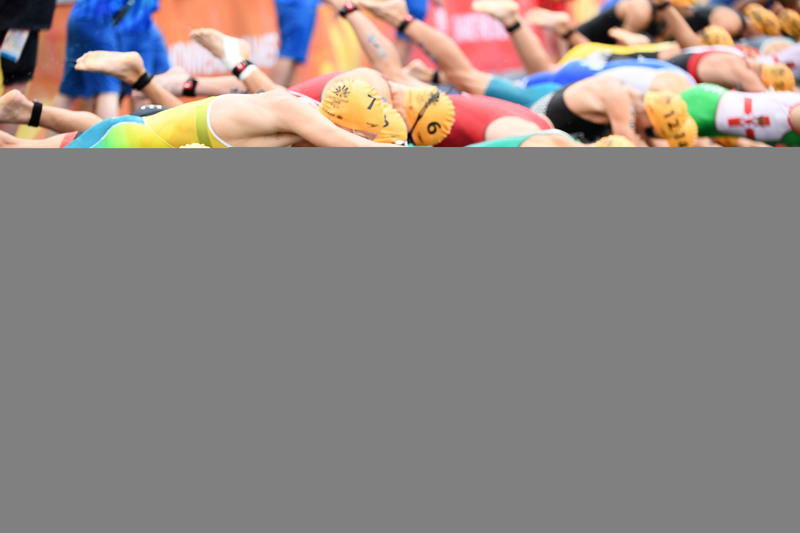 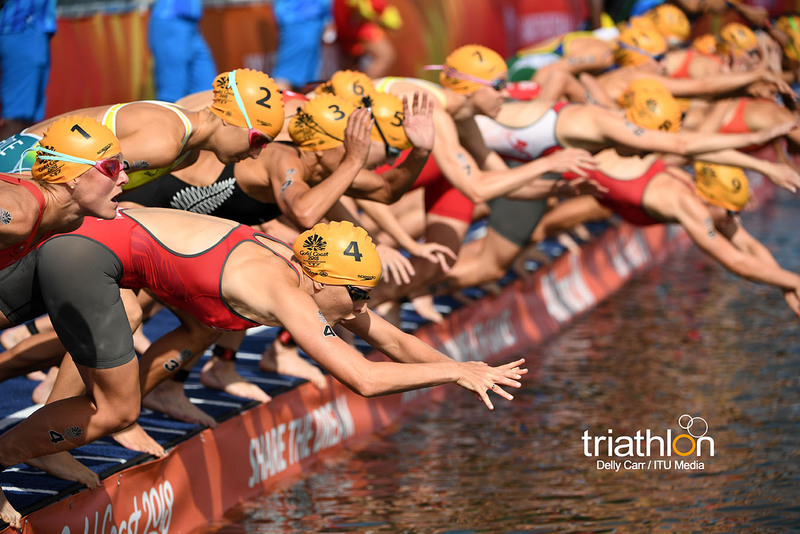 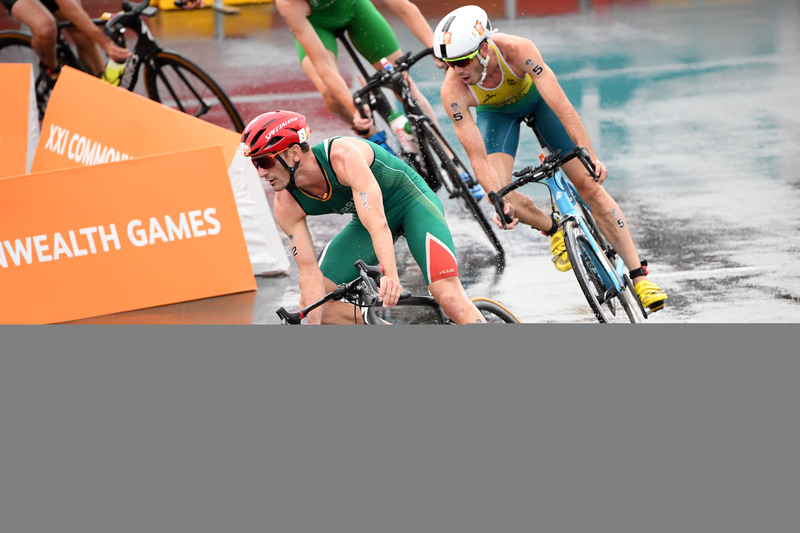 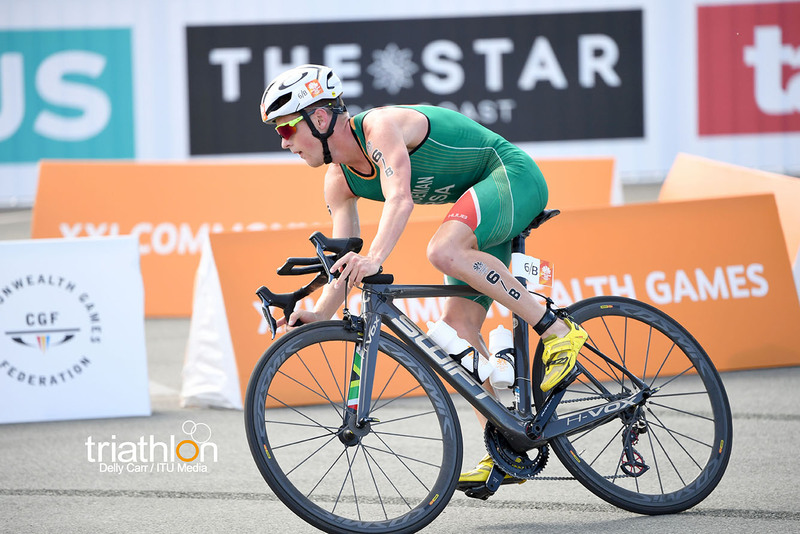 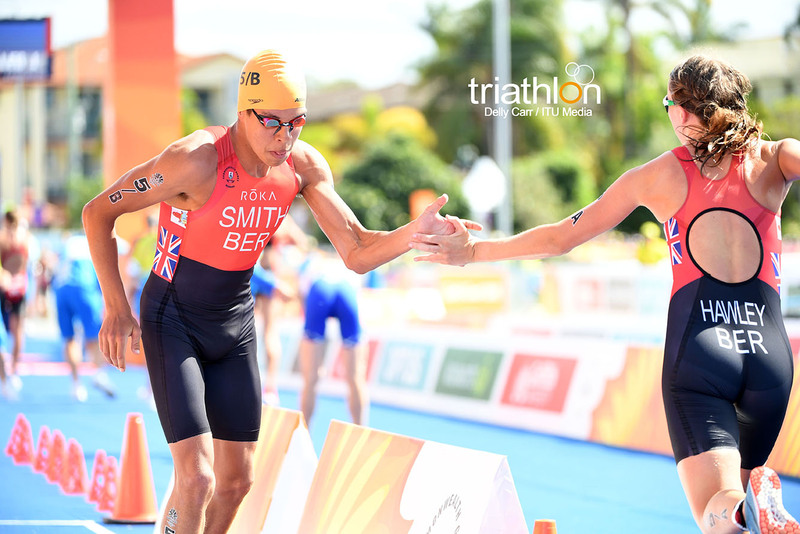 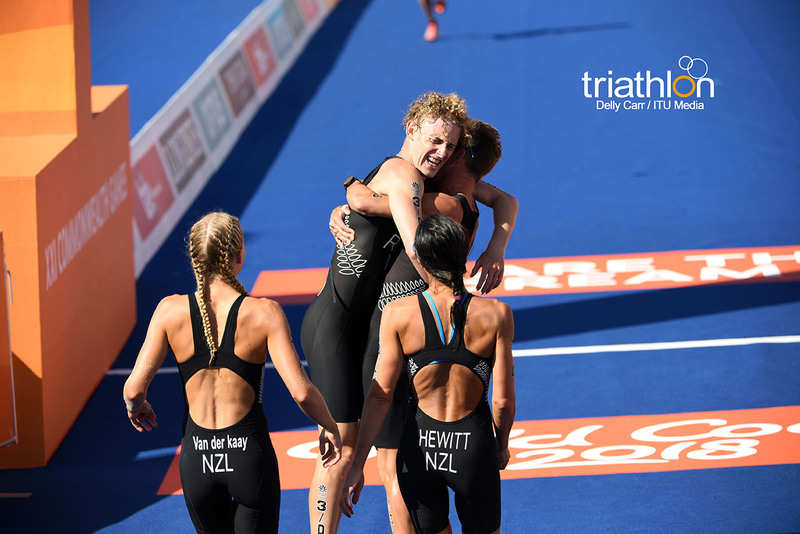 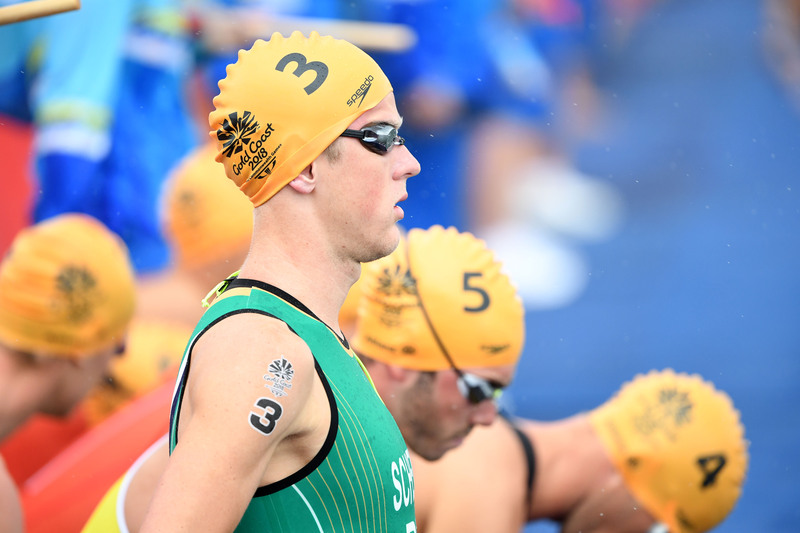 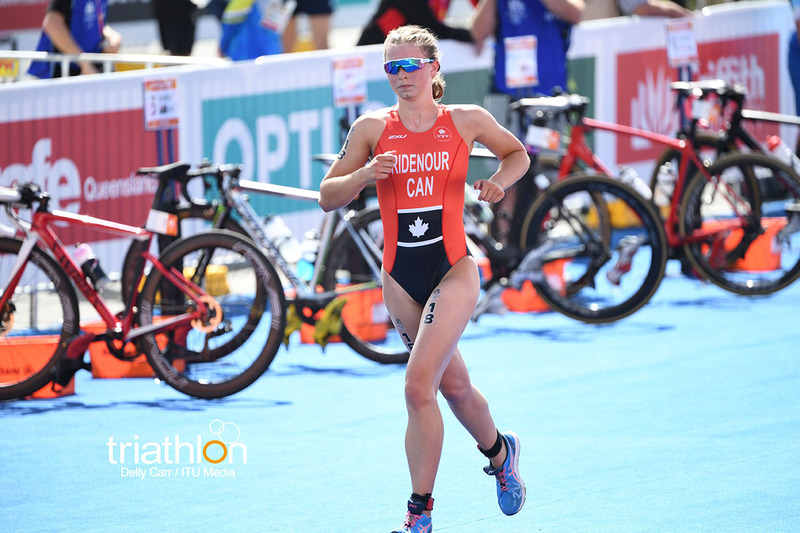 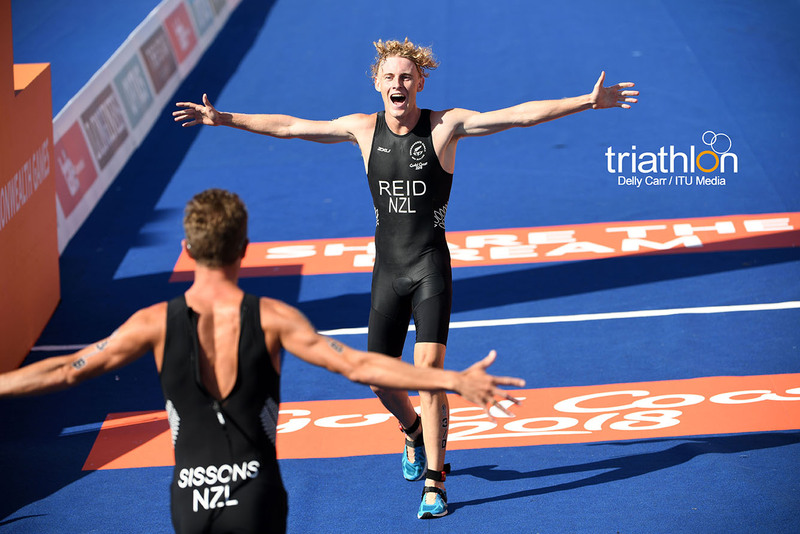 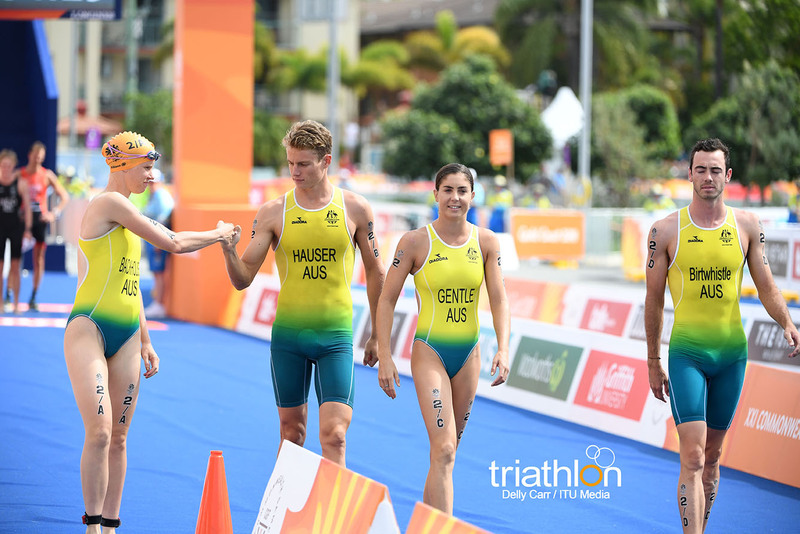 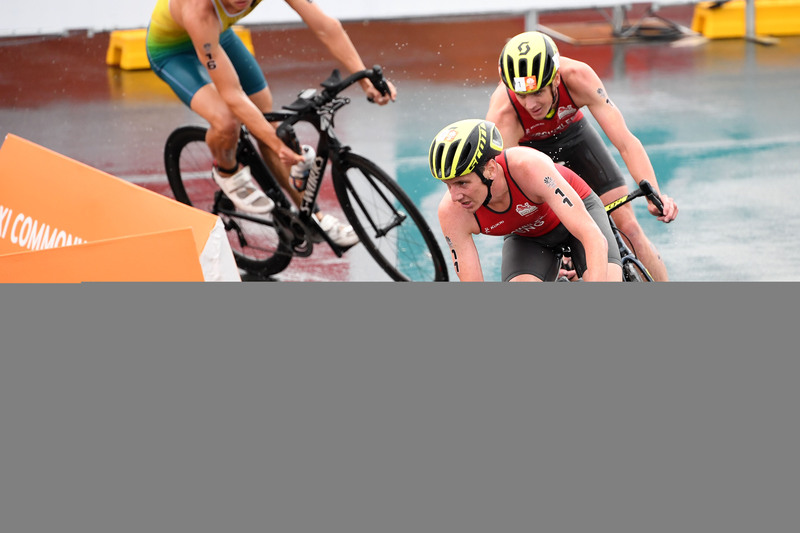 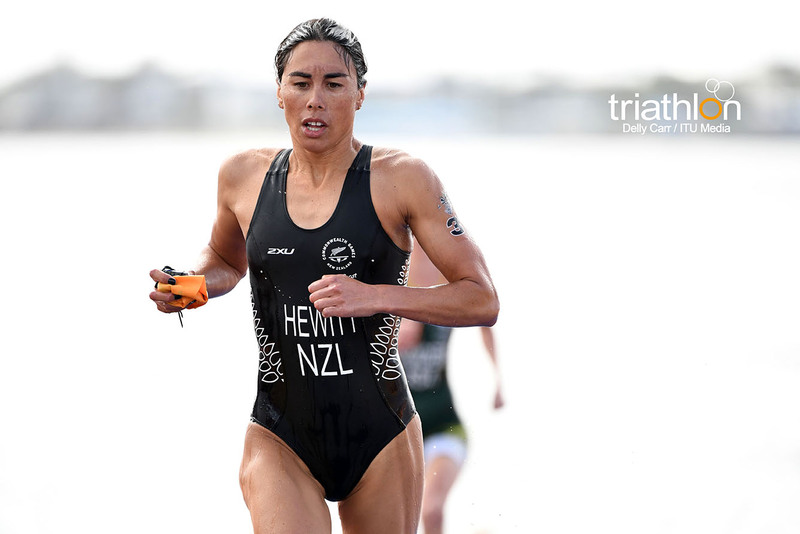 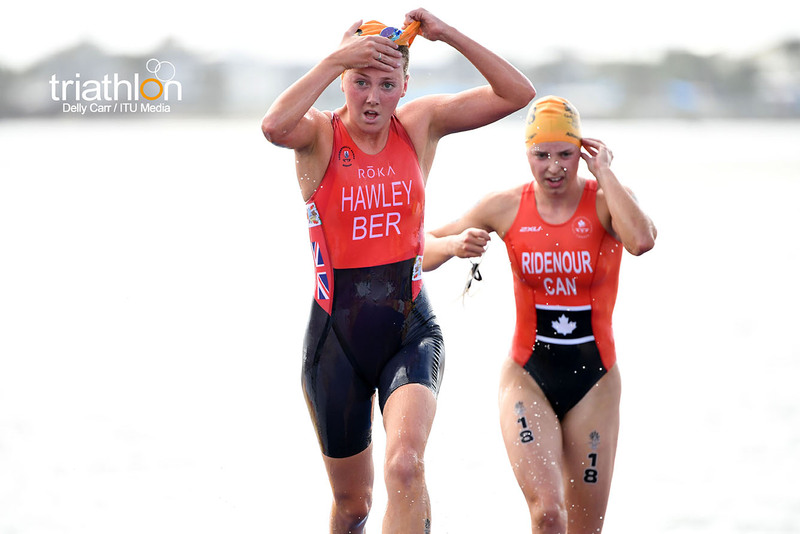 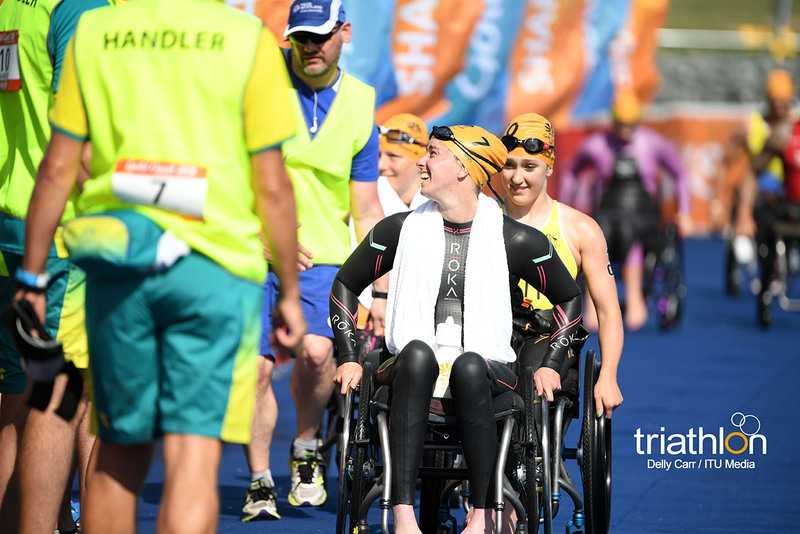 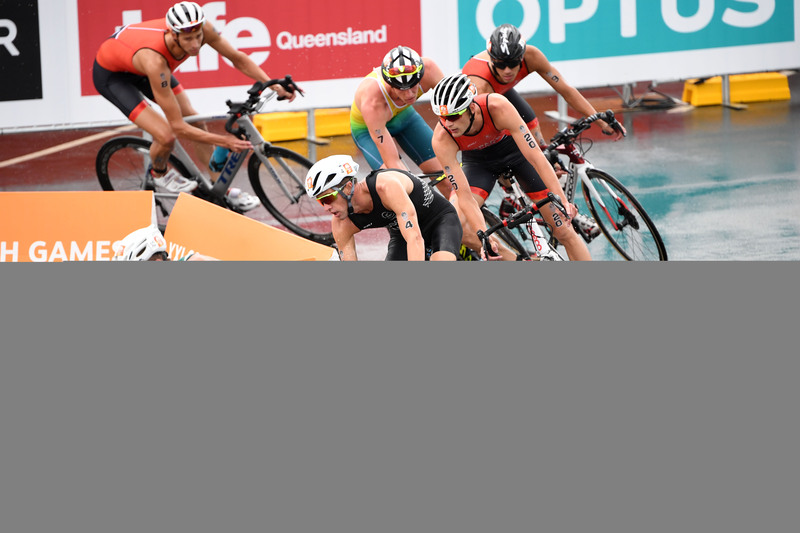 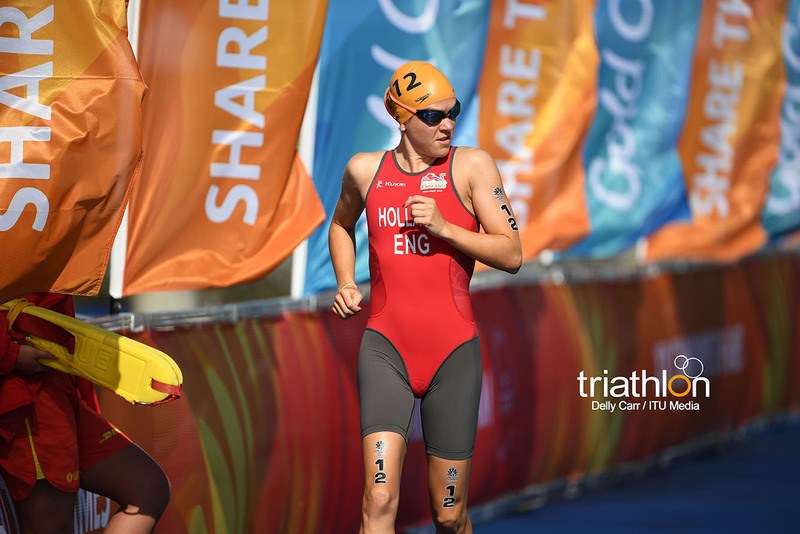 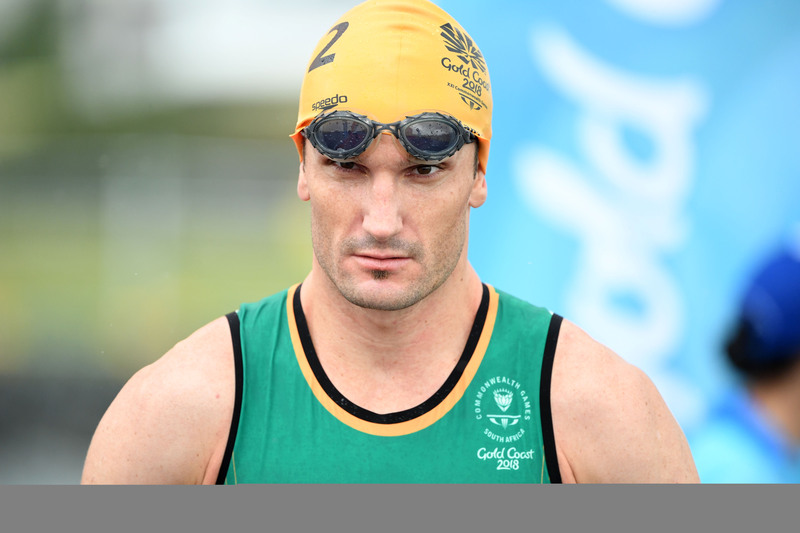 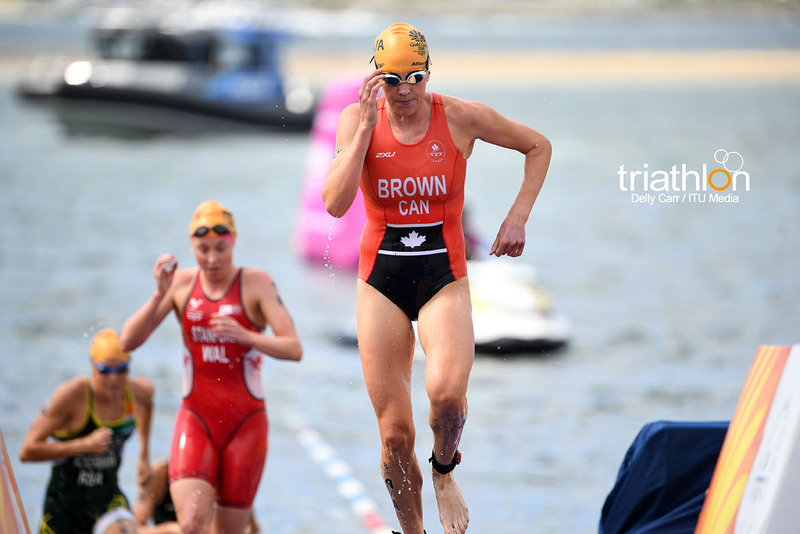 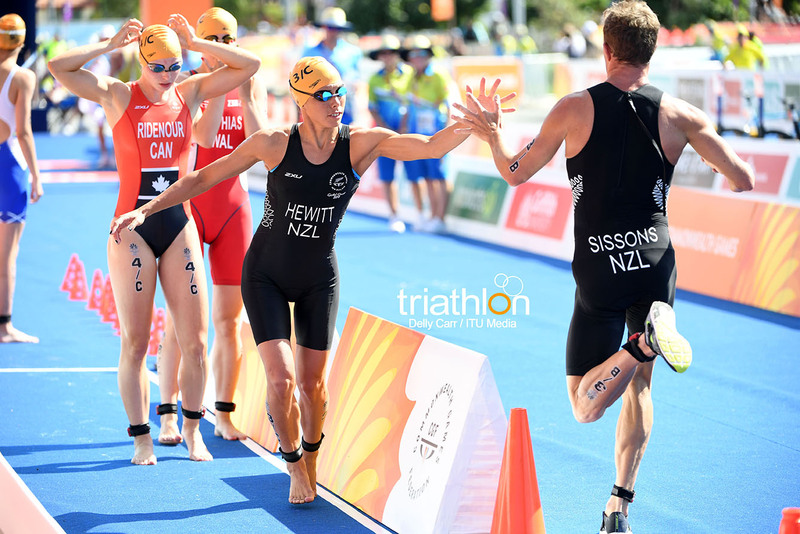 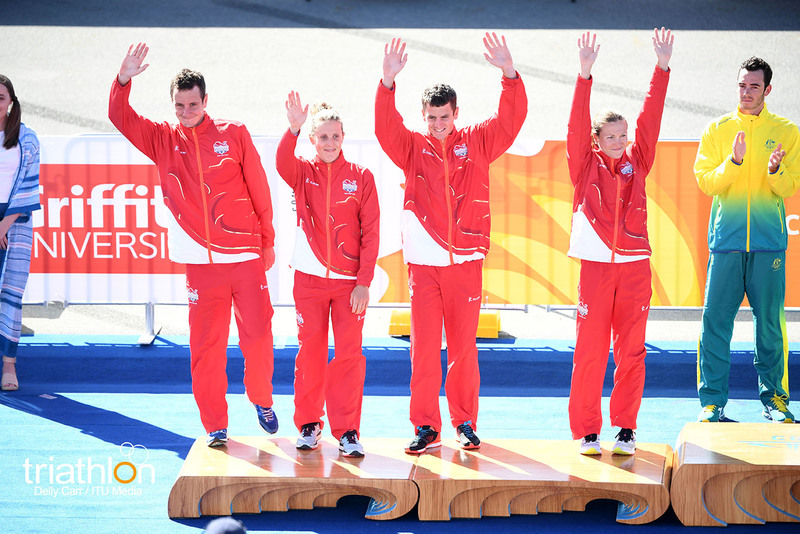 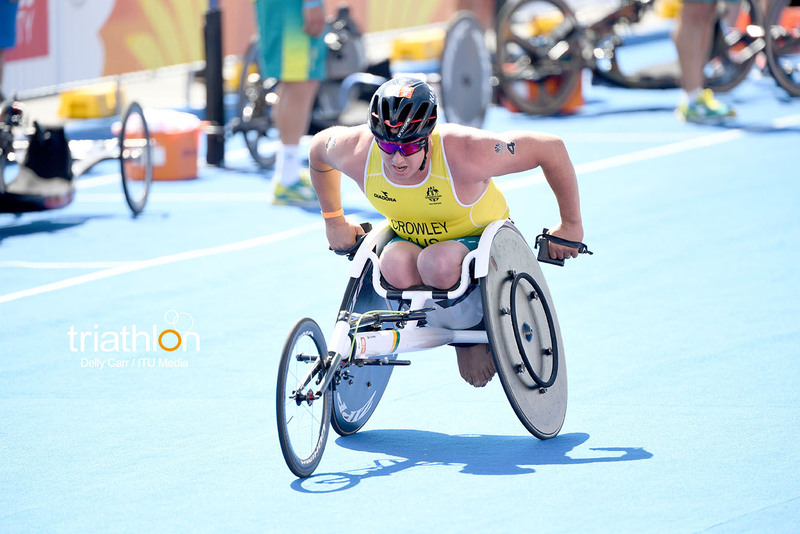 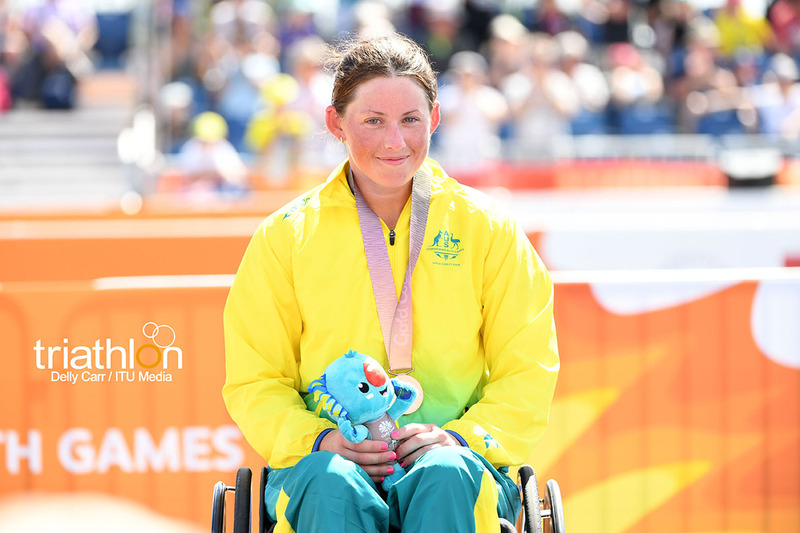 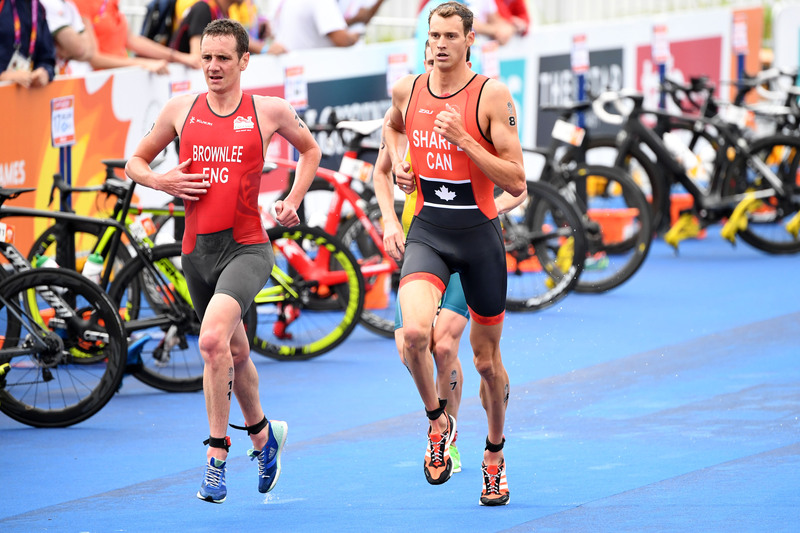 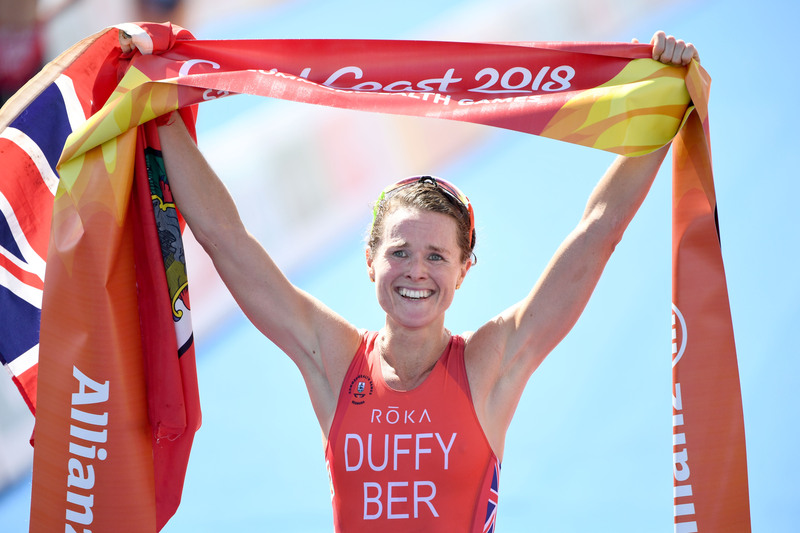 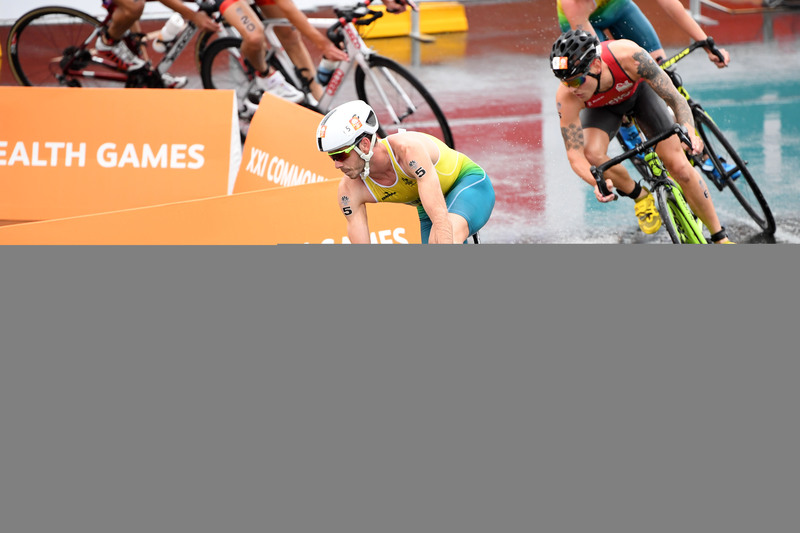 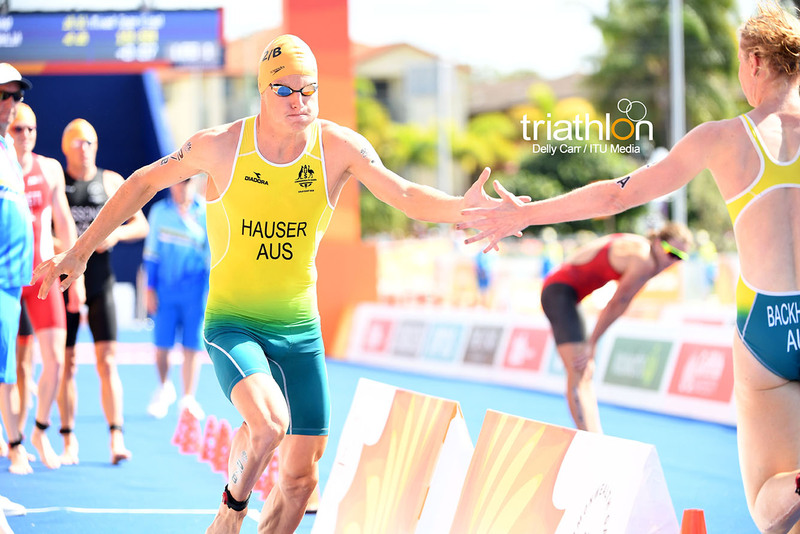 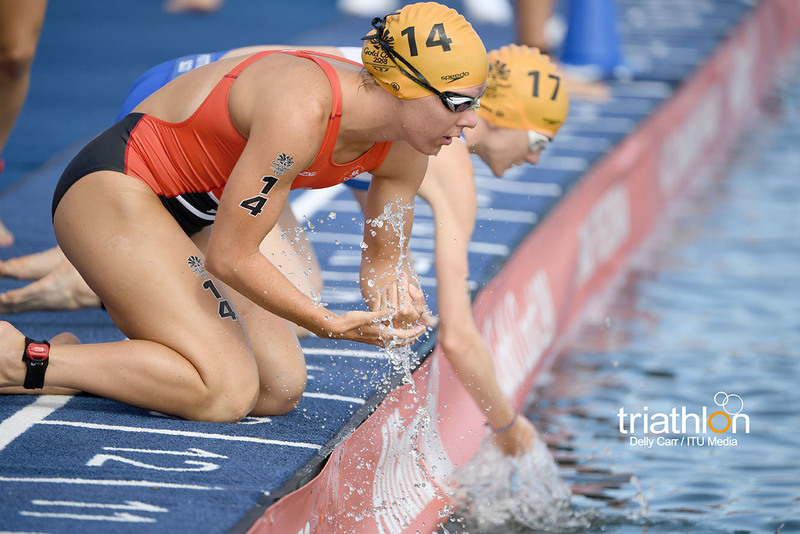 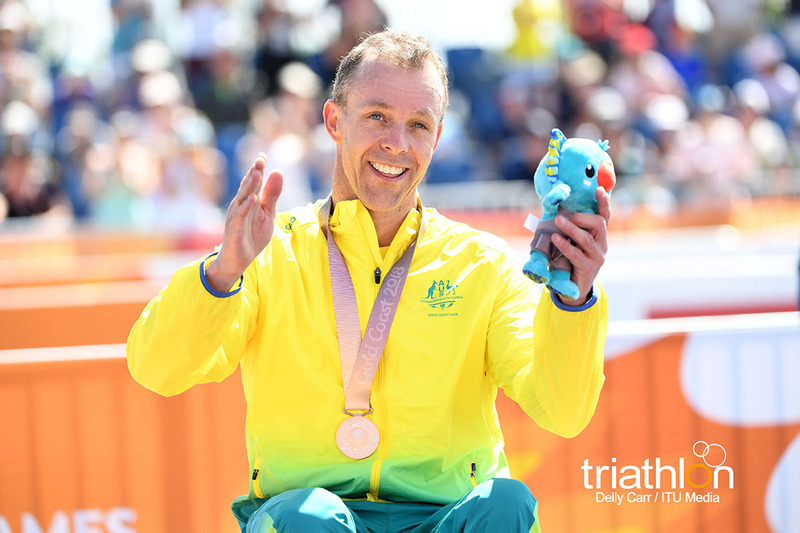 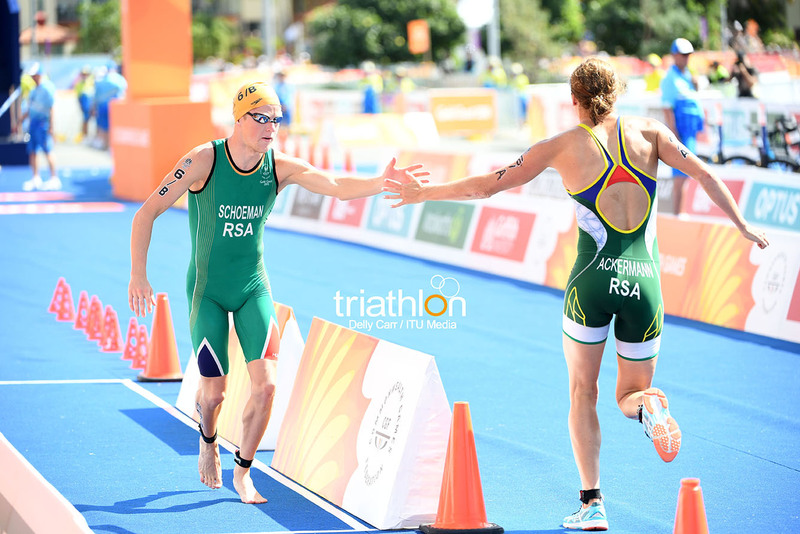 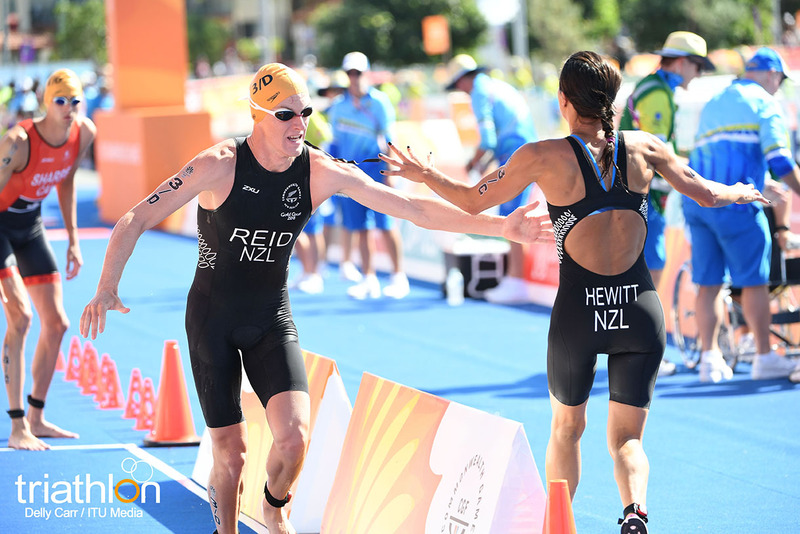 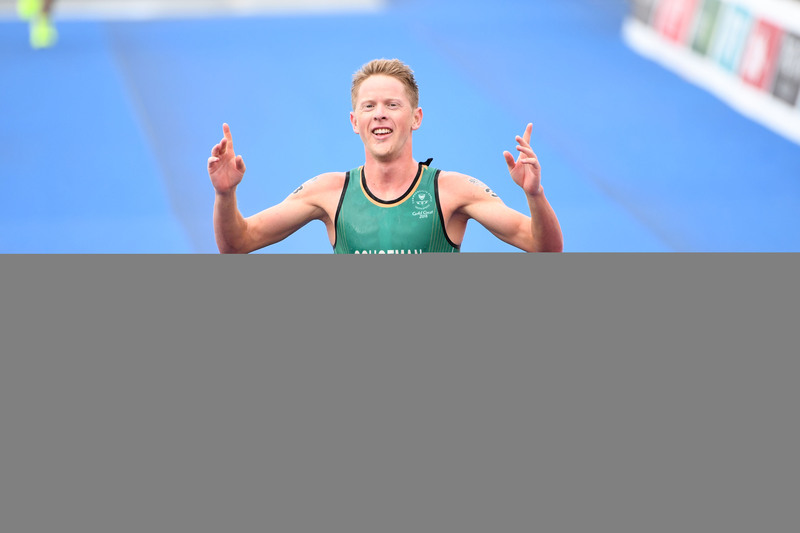 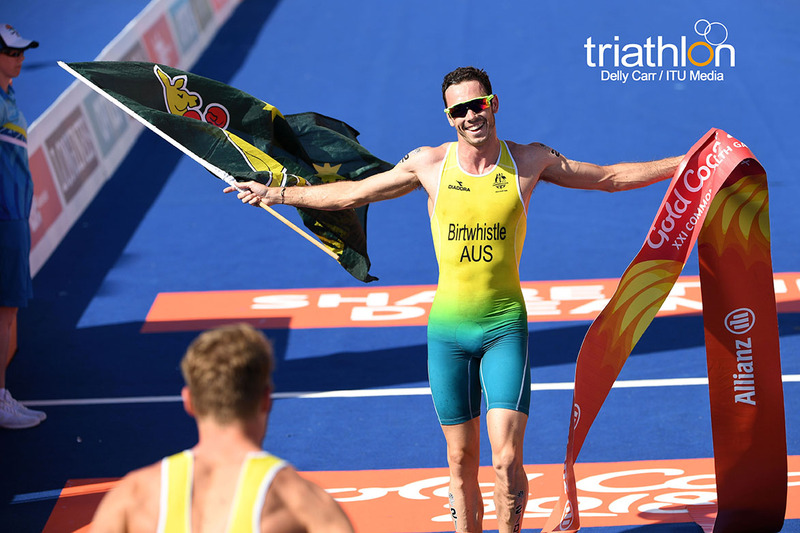 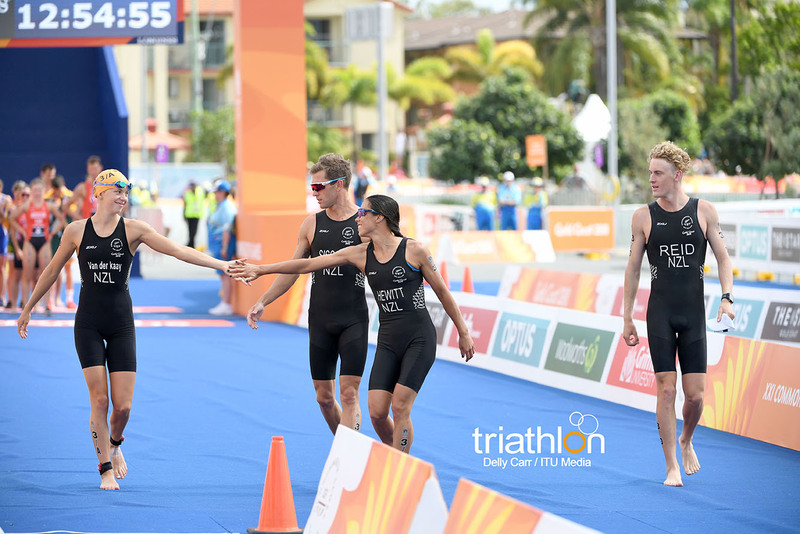 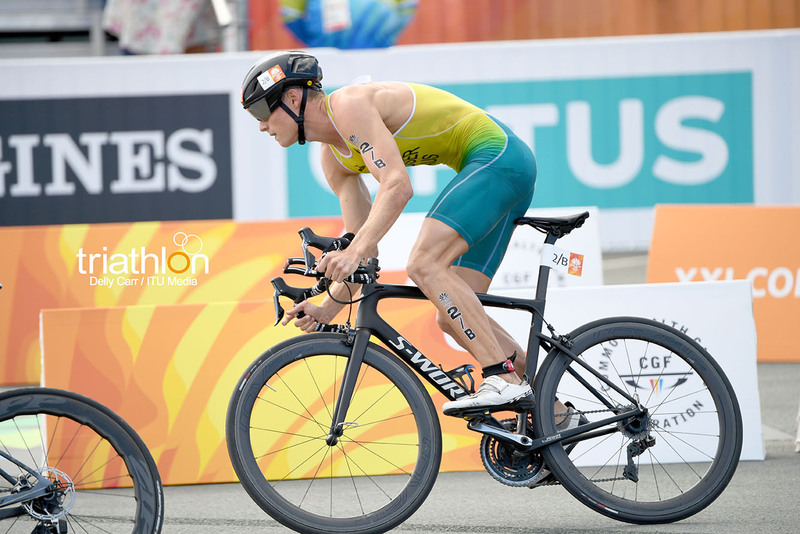 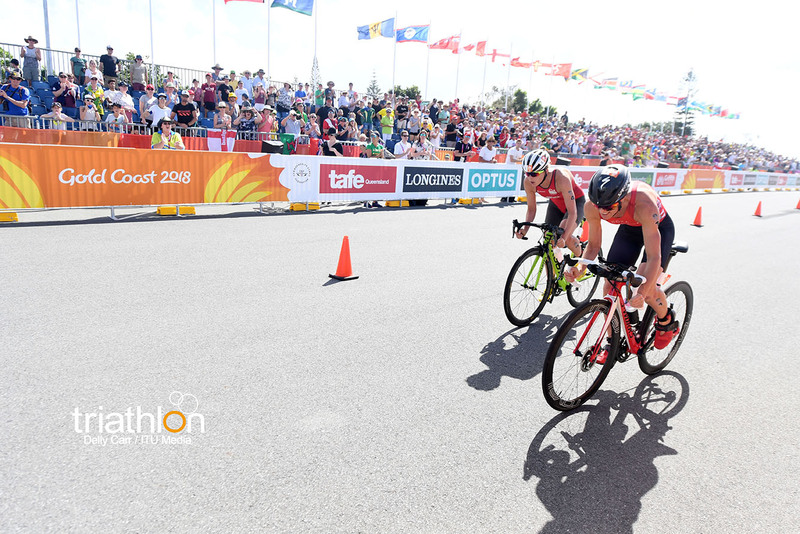 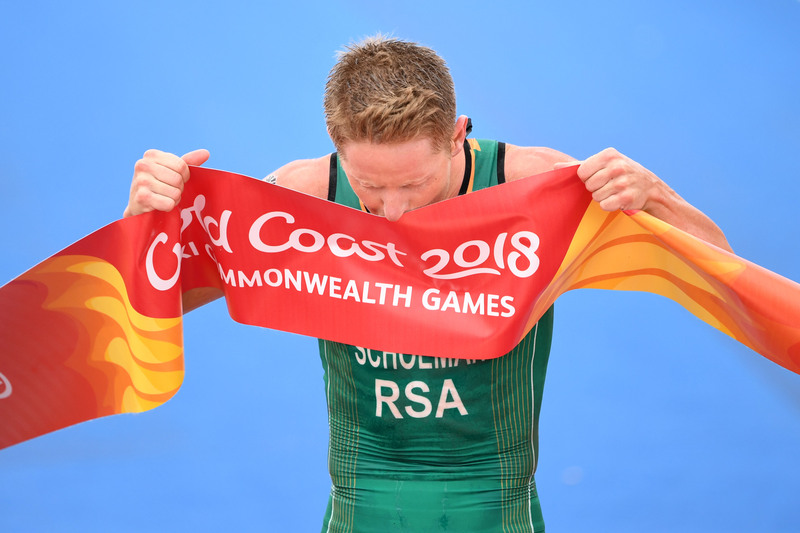 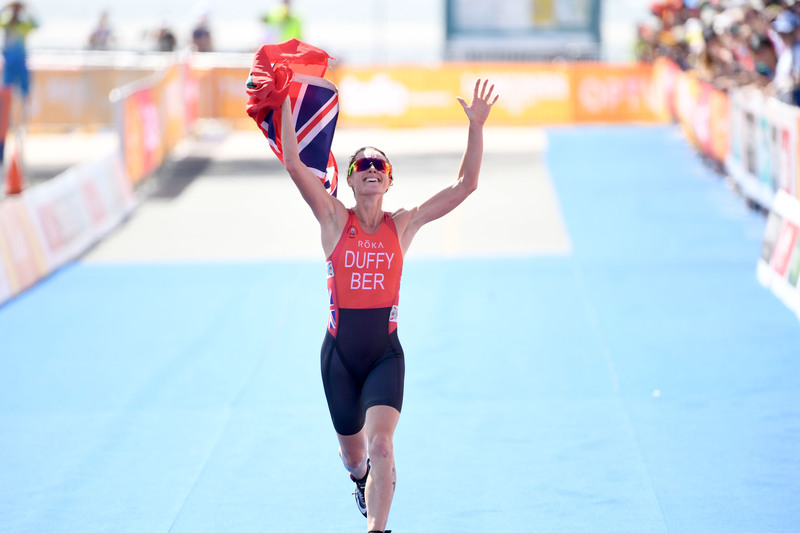 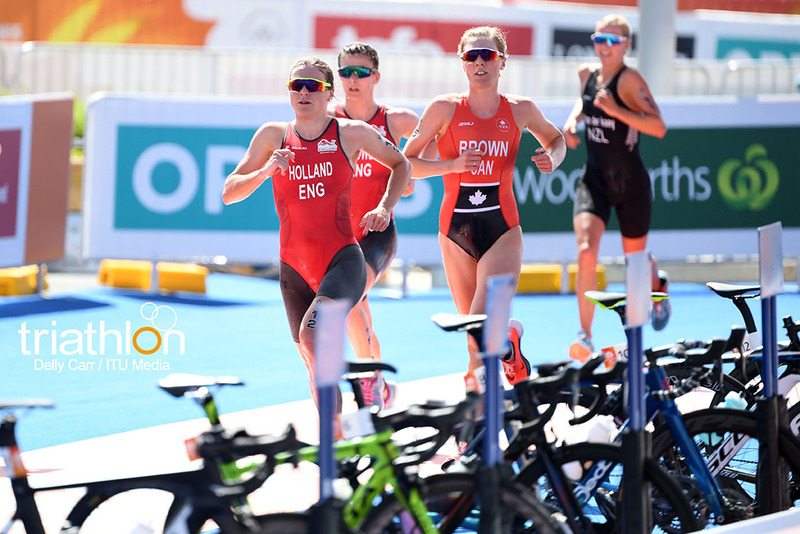 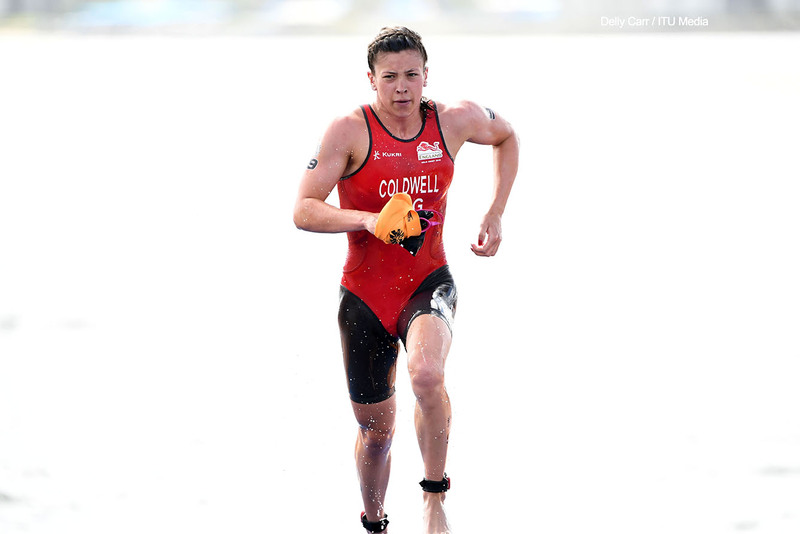 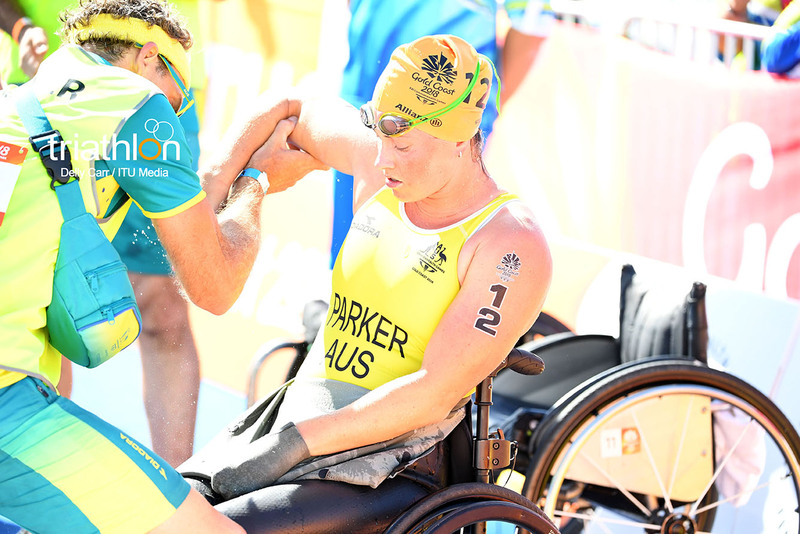 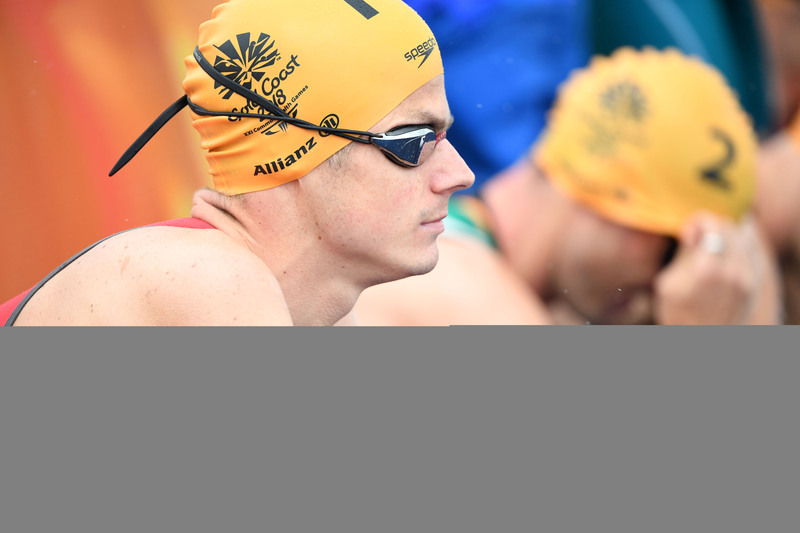 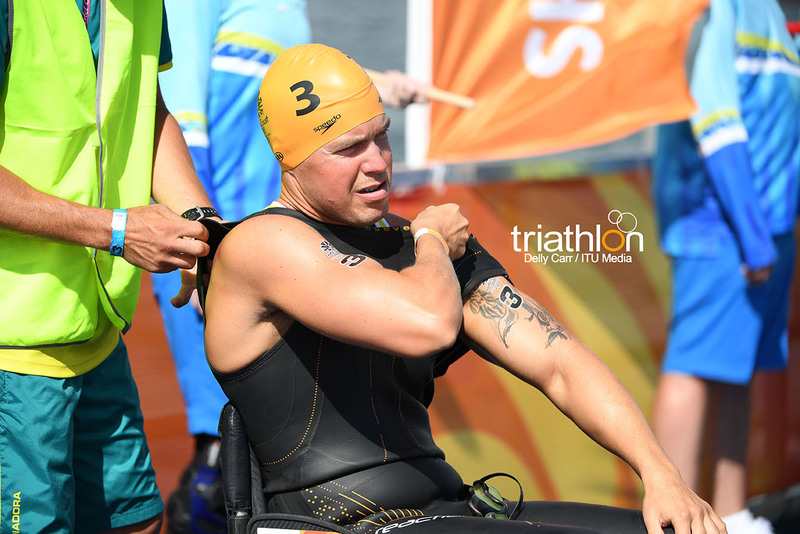 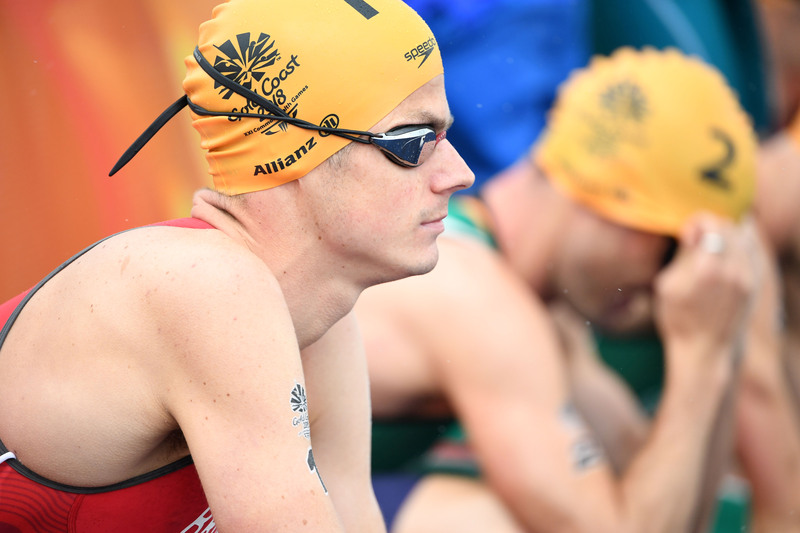 With a near flawless performance, Australia grabbed the gold medal in the 2018 Gold Coast Triathlon Mixed Relay. 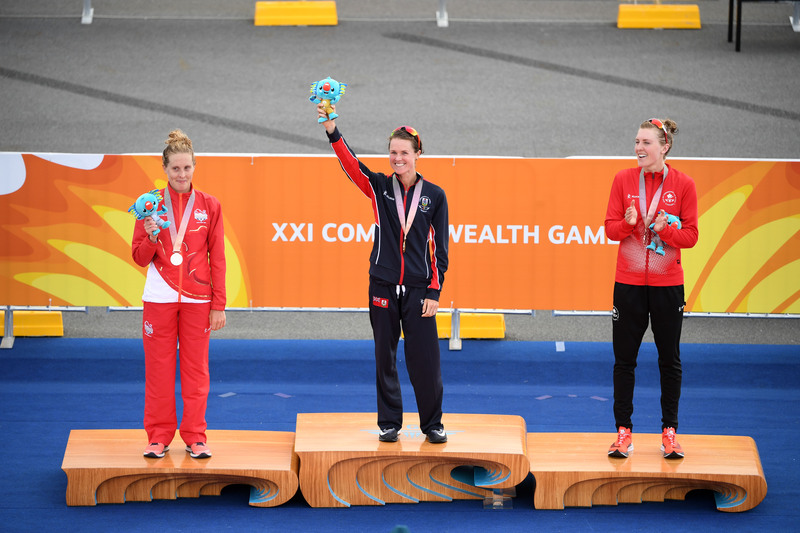 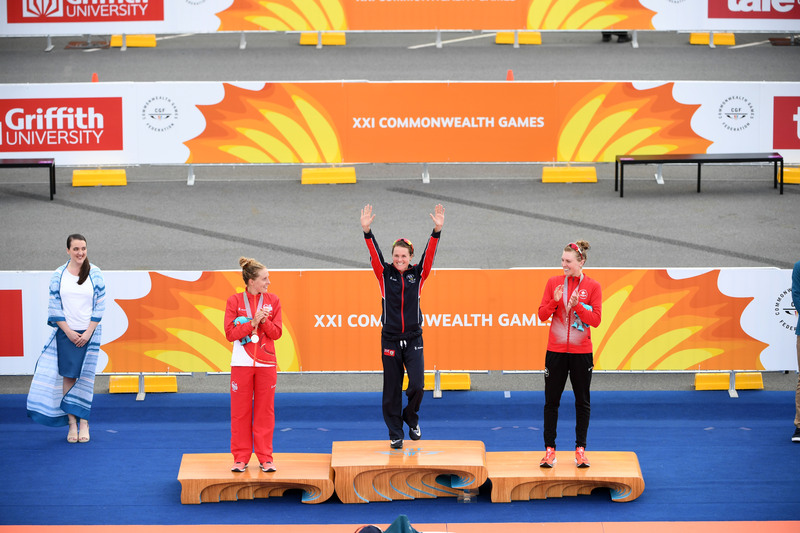 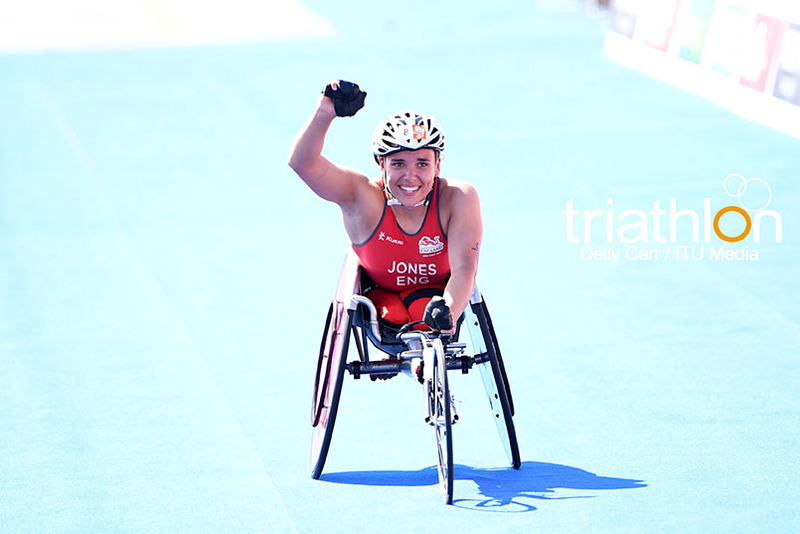 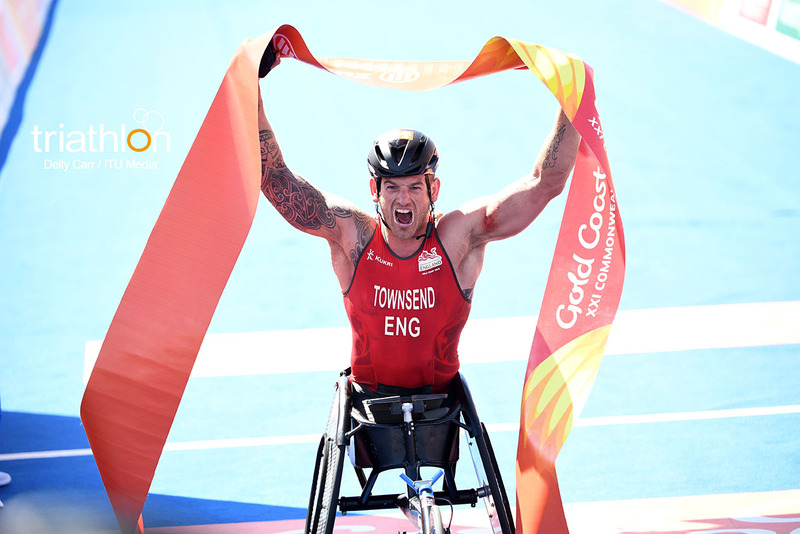 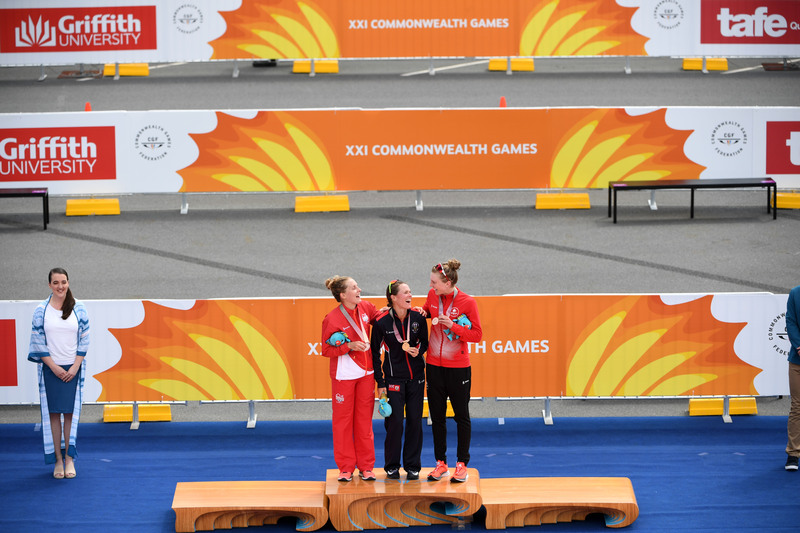 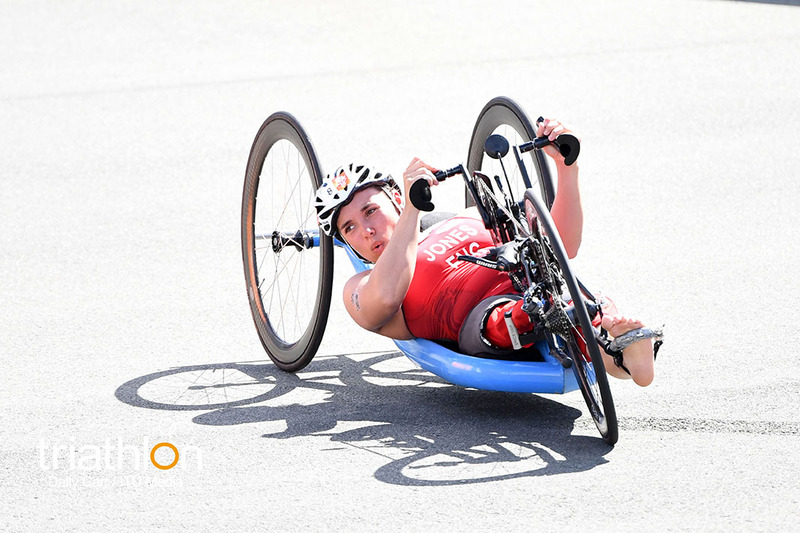 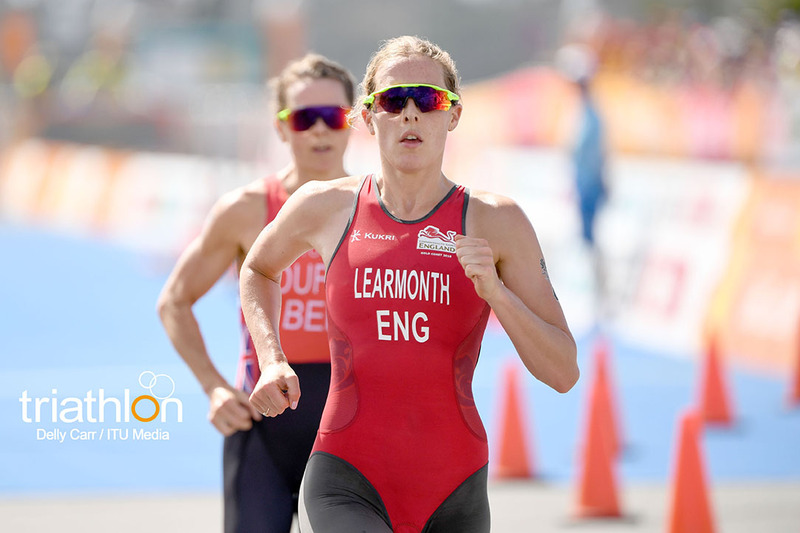 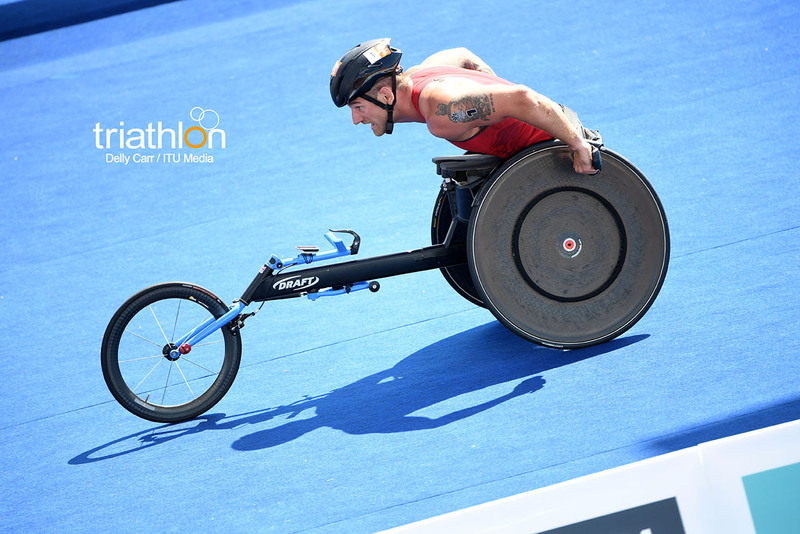 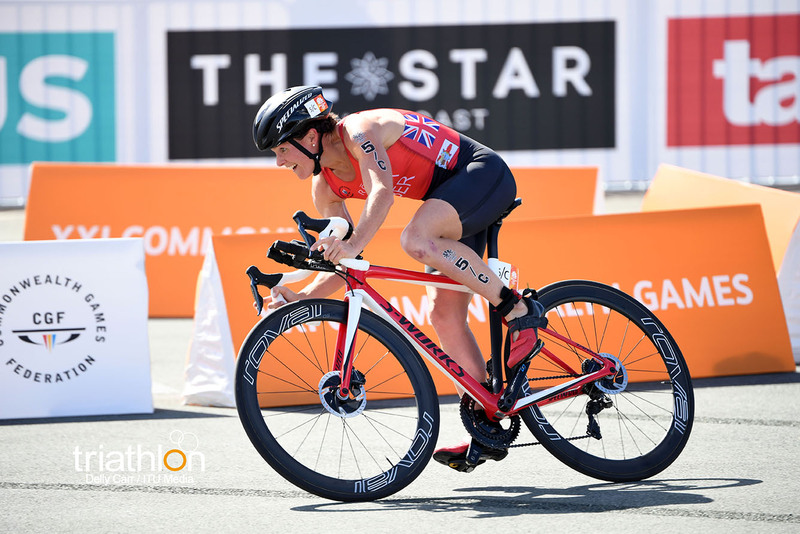 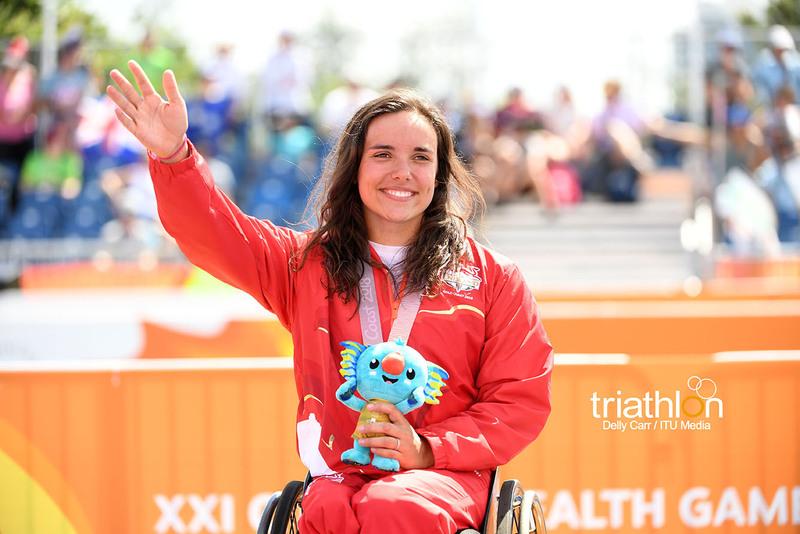 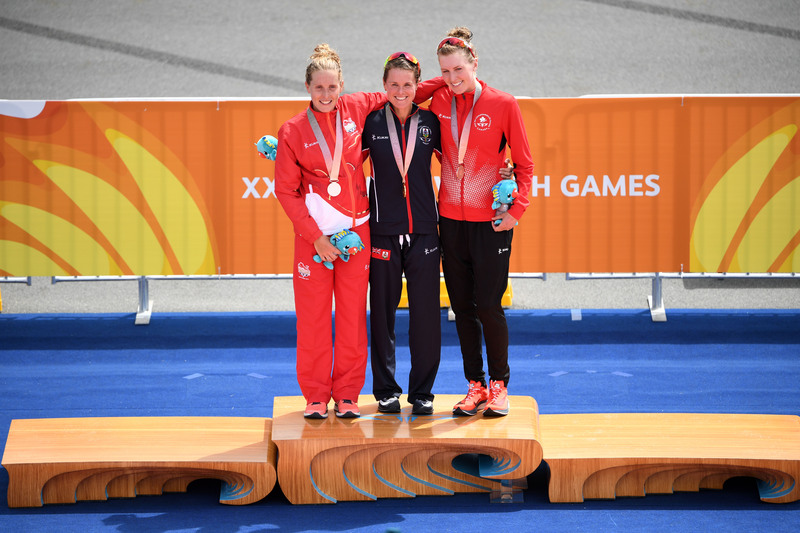 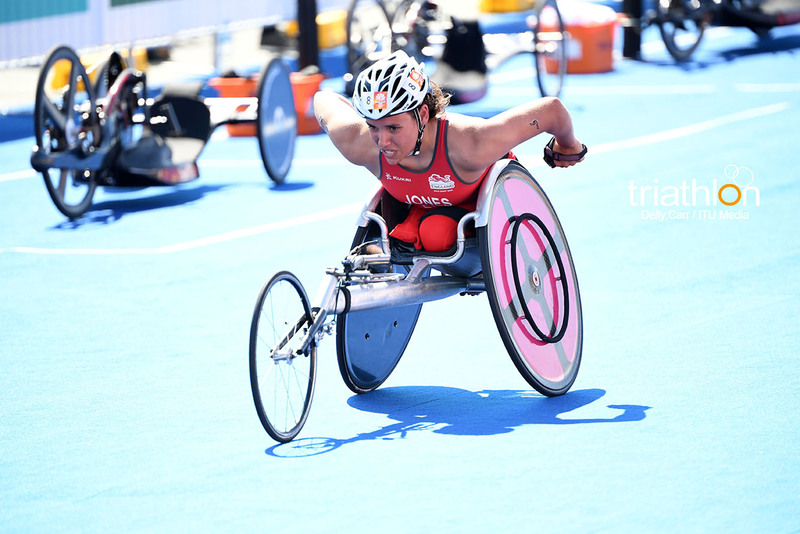 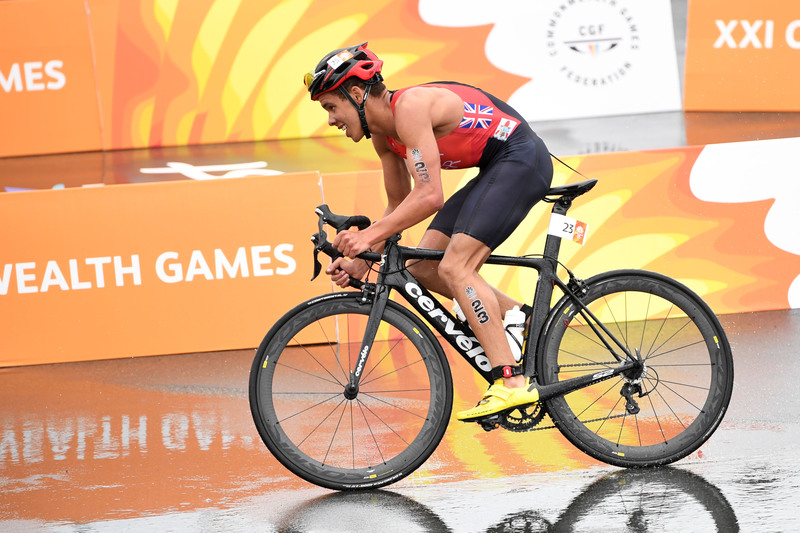 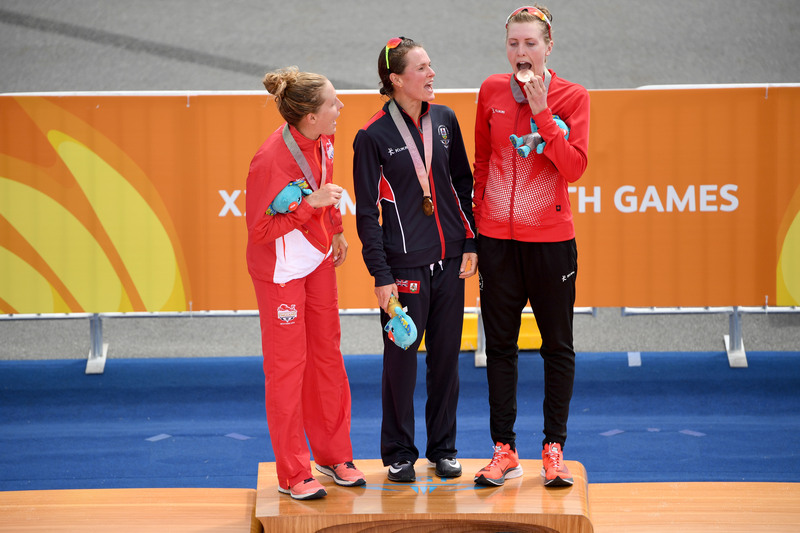 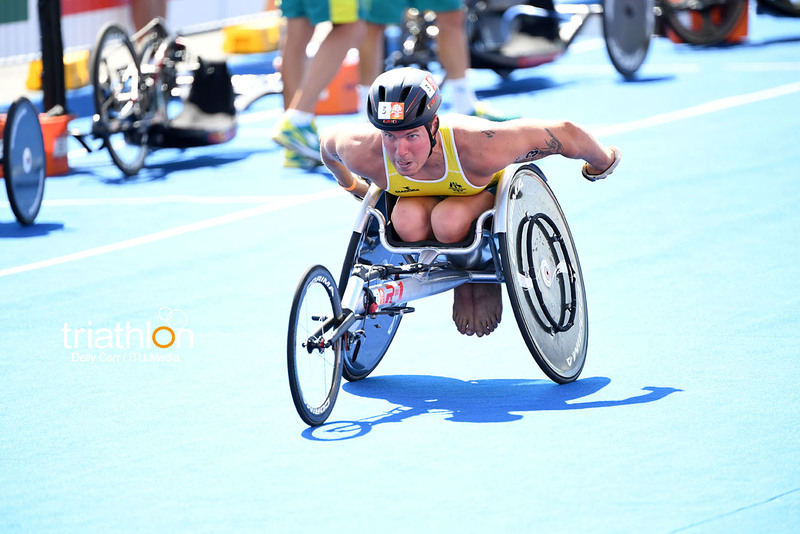 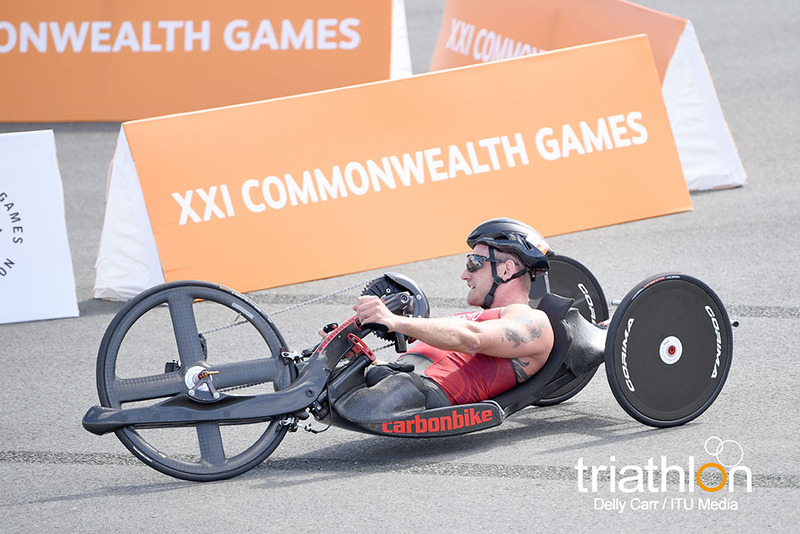 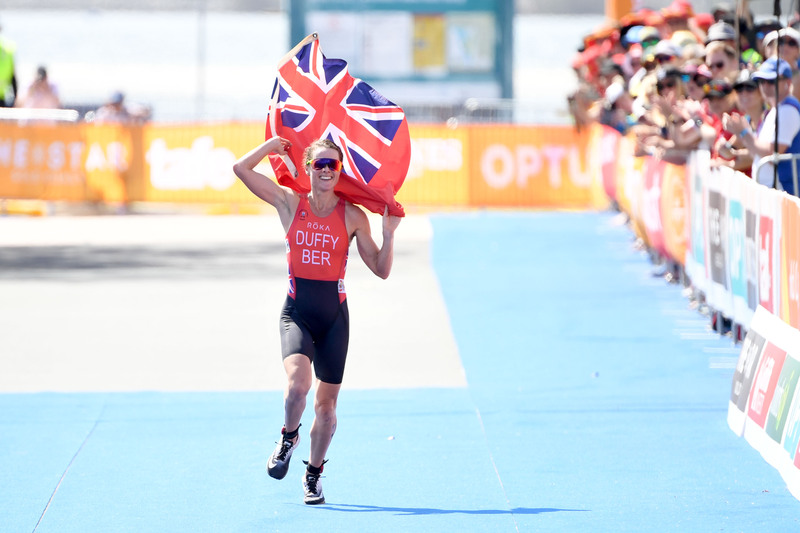 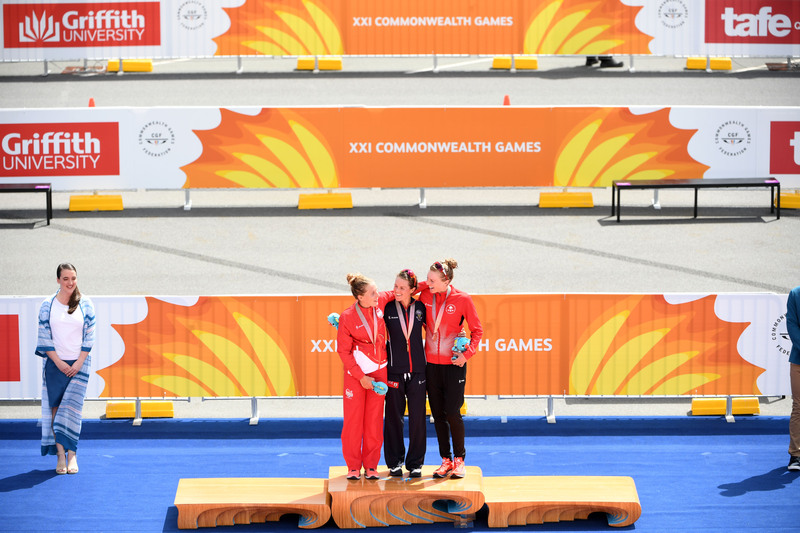 Gillian Backhouse, Matthew Hauser, Ashleigh Gentle and Jacob Birthwhistle added the Commonwealth Games crown to last year’s world championship title, with Team England finishing in second, and New Zealand grabbing the bronze medal. 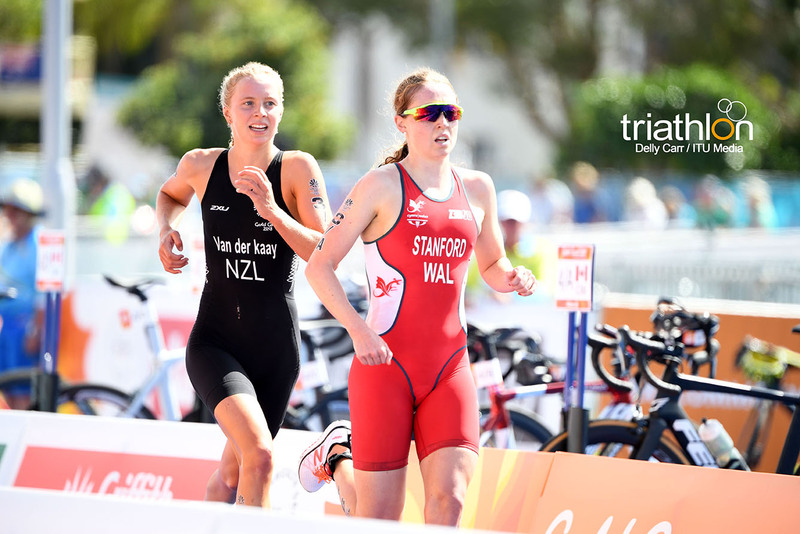 Behind them, the young kiwi Nicole Van der Kaay rode with Non Stanford (WAL) and Joanna Brown (CAN) in a small group that kept pushing hard to try to keep up with the leaders. 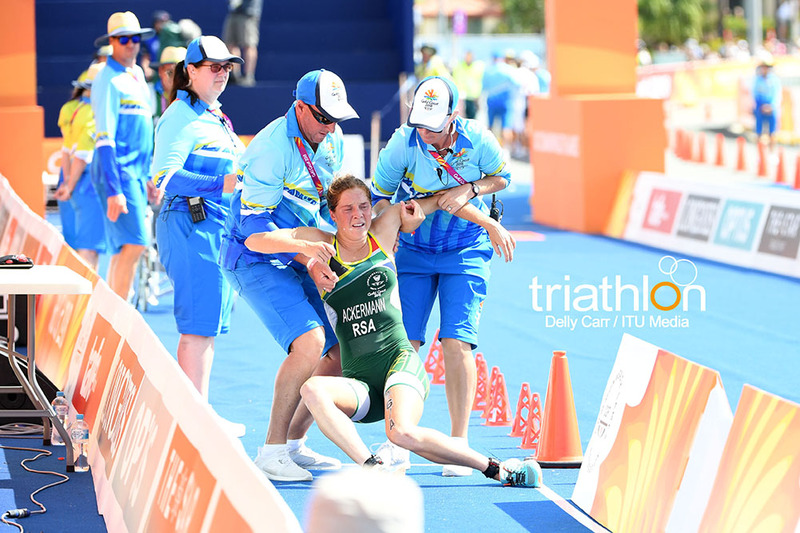 To everyone’s surprise, the South African team was pushed to the last position when Simone Ackermann had cramps that left her three and a half minutes behind the rest of the teams. 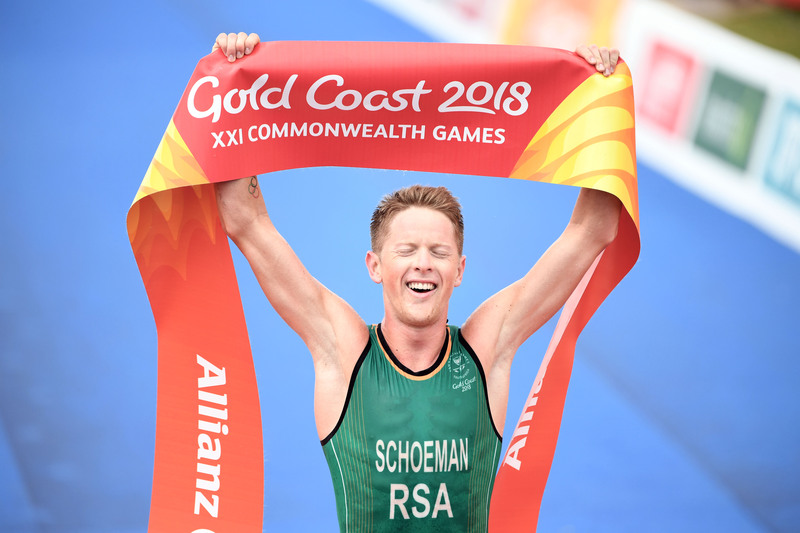 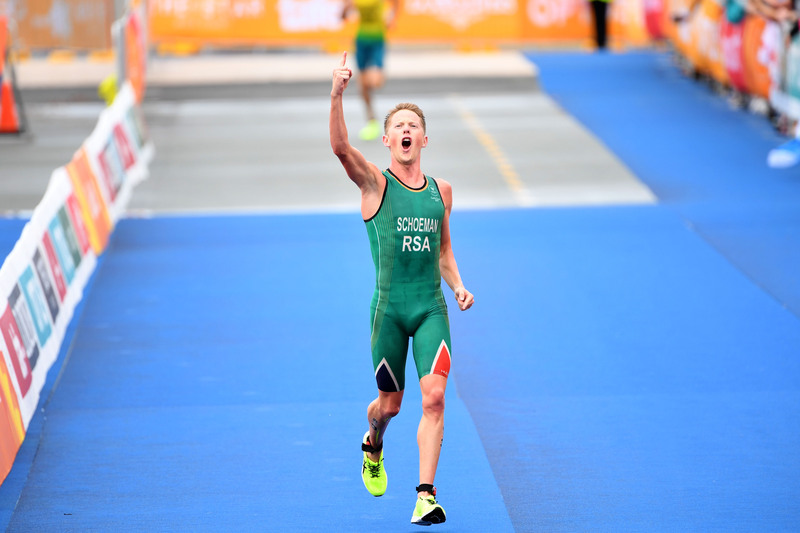 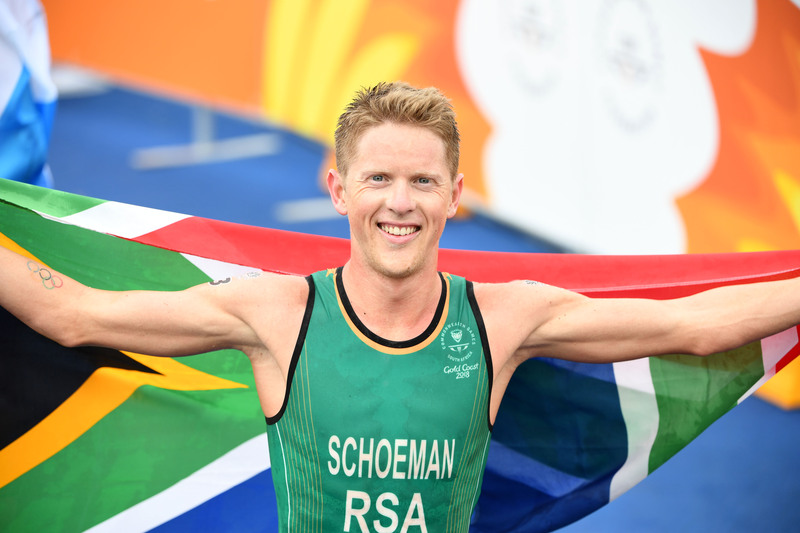 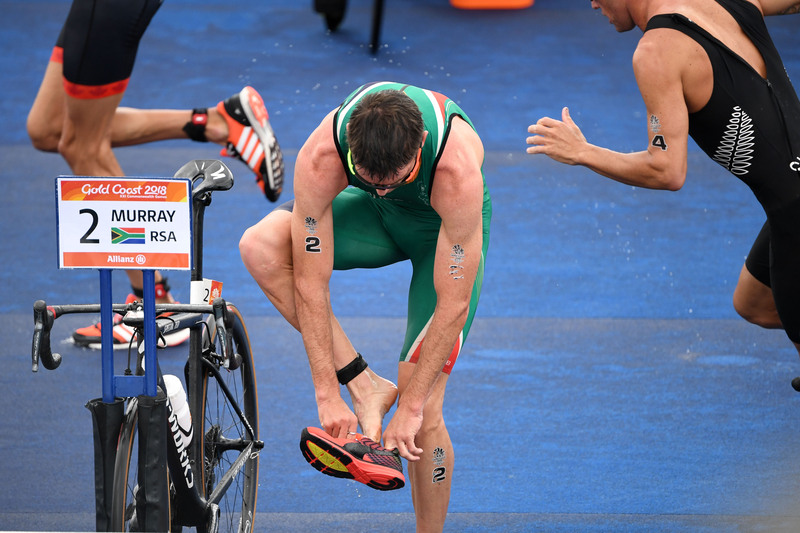 It was then for the Sout Africans a matter of trying to catch up a bit, which they did, even though they still finished in the last place, despite Henri Schoeman, Gillian Sanders and Richard Murray’s efforts.